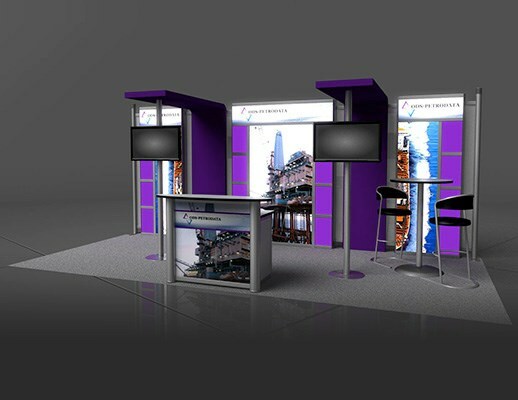 The purple color creates a sharp aesthetic while being bright and modern looking. 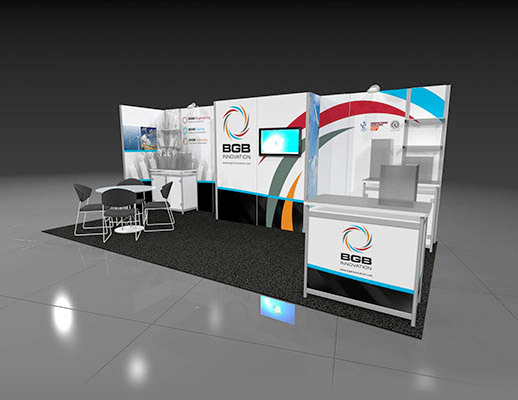 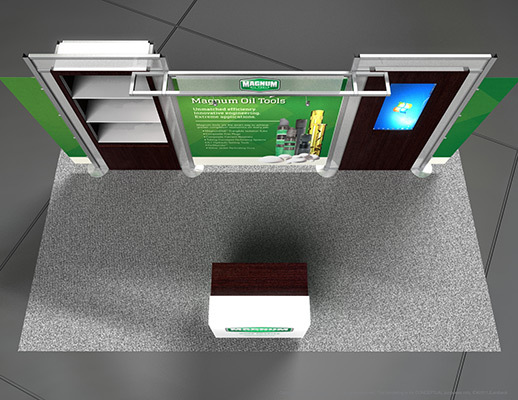 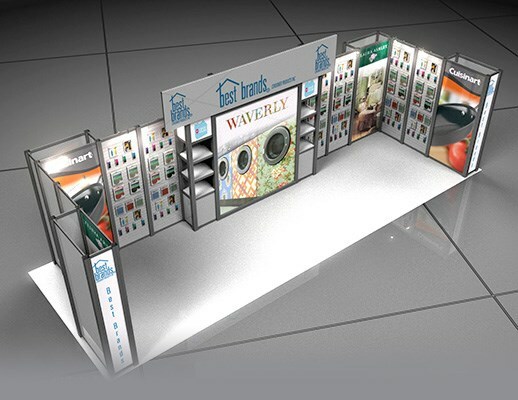 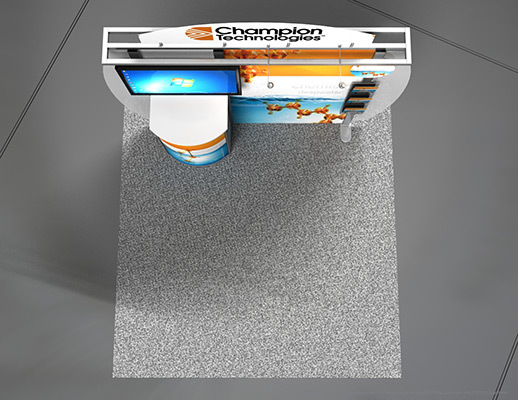 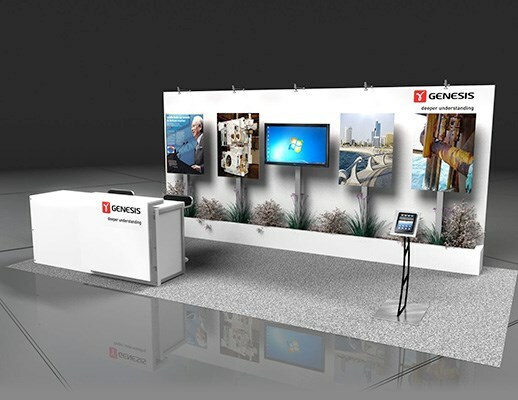 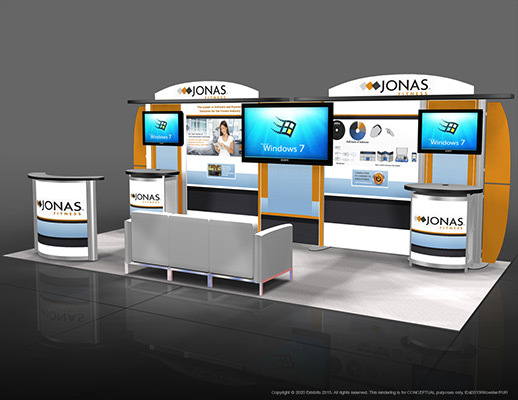 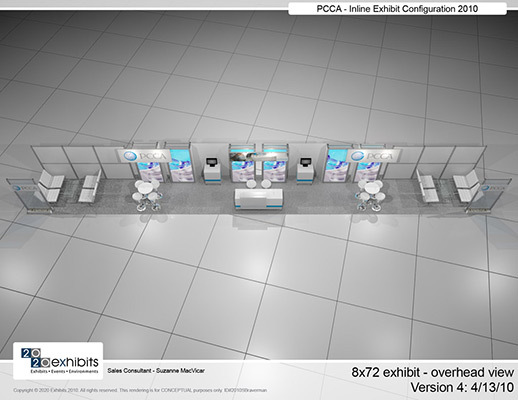 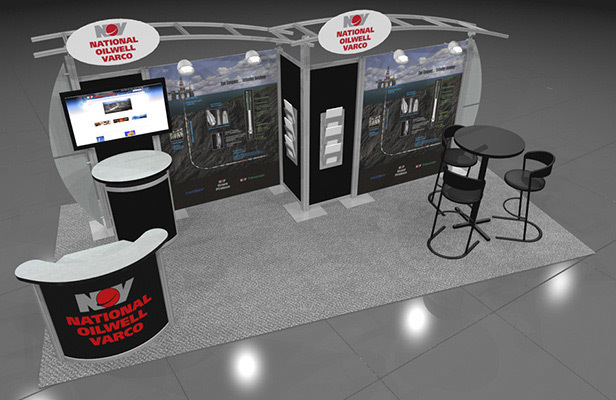 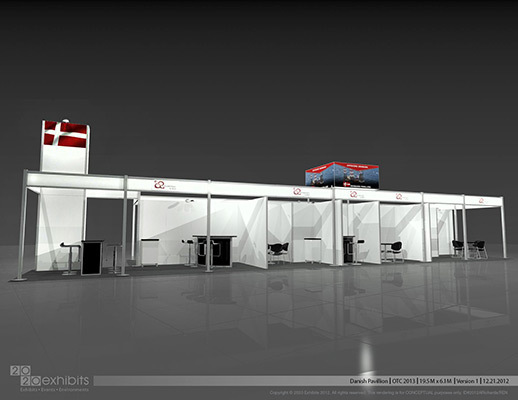 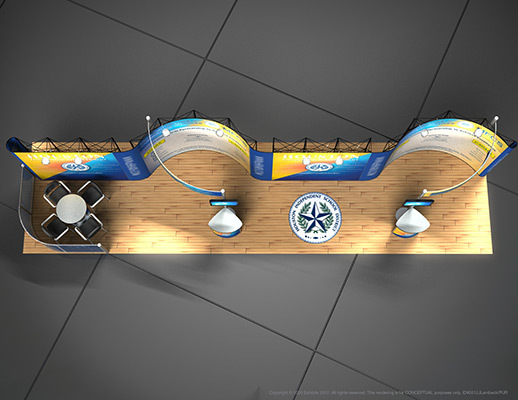 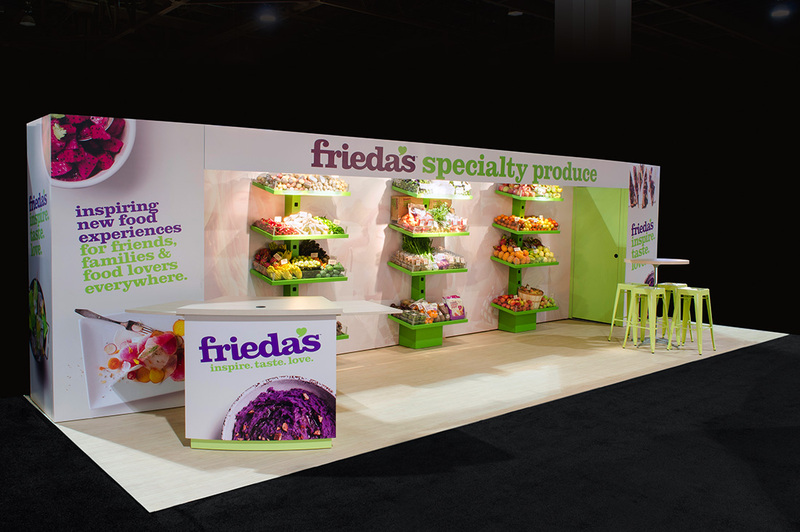 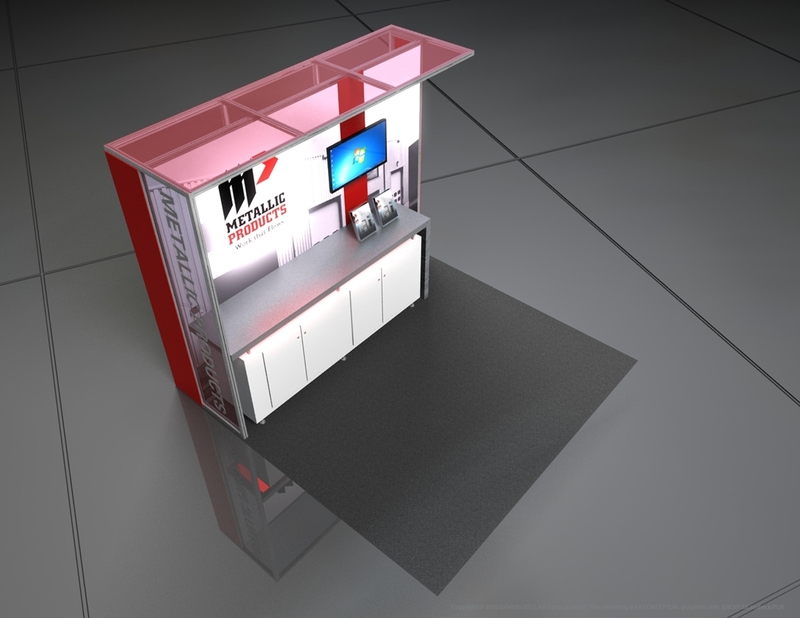 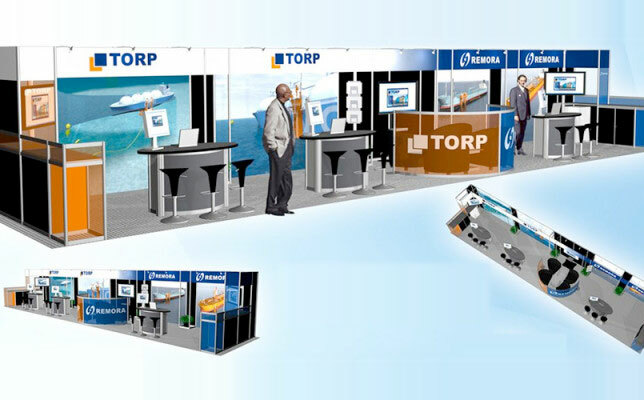 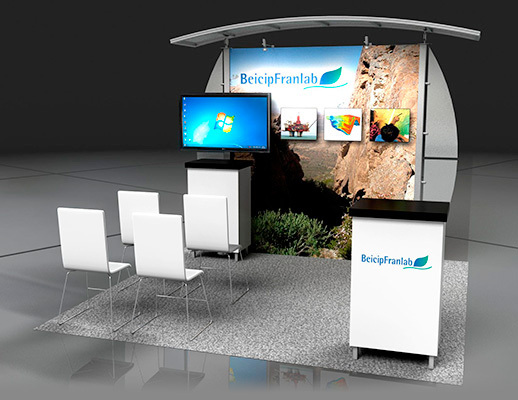 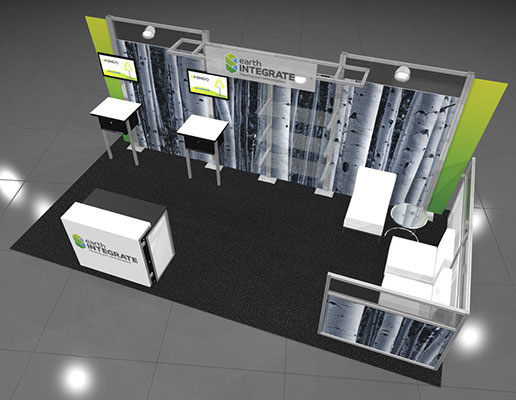 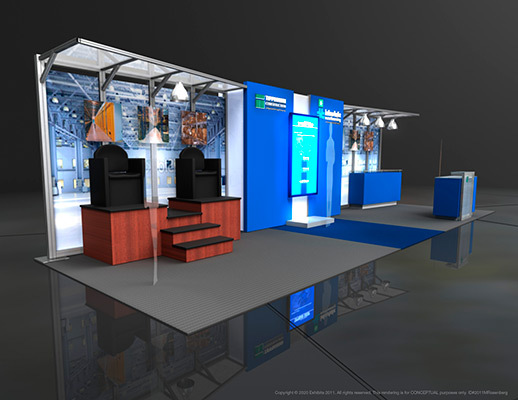 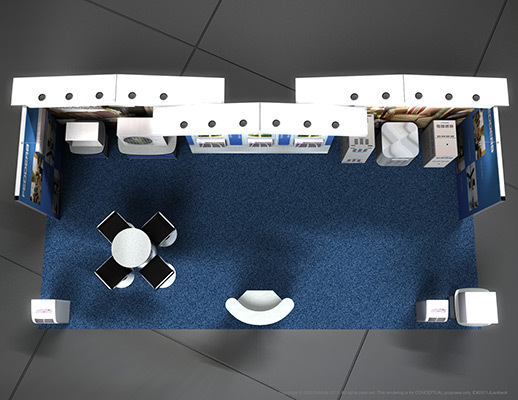 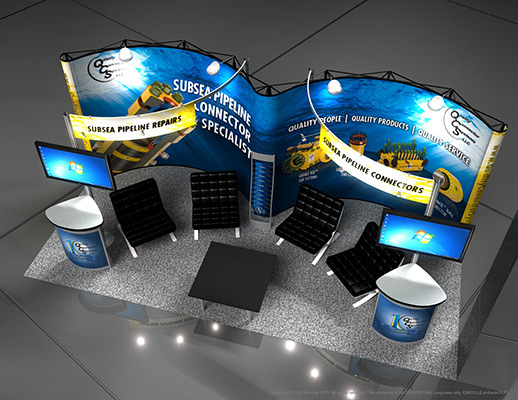 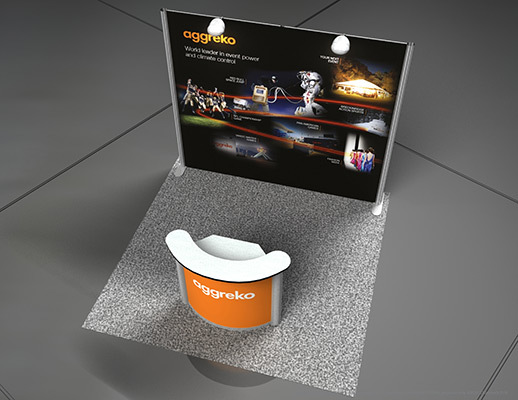 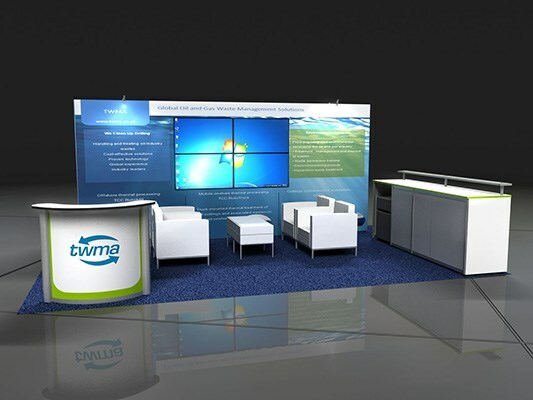 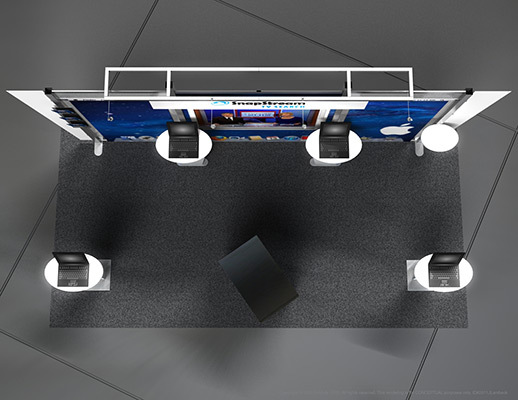 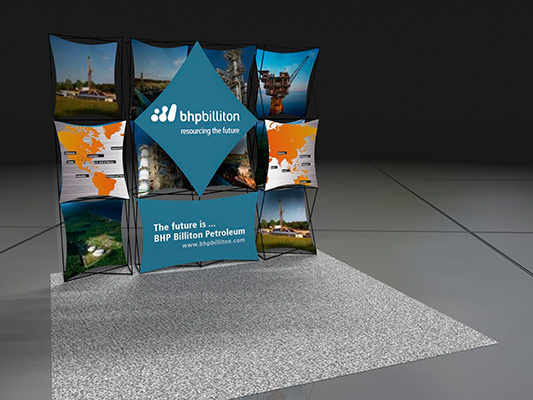 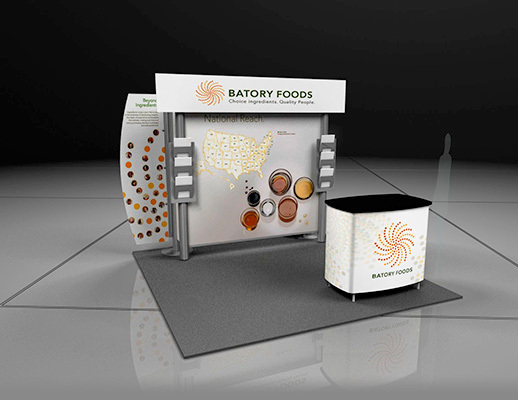 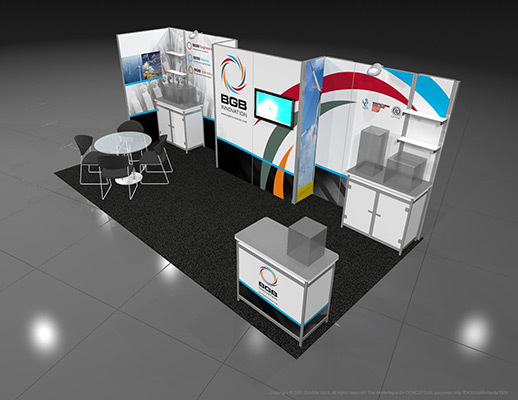 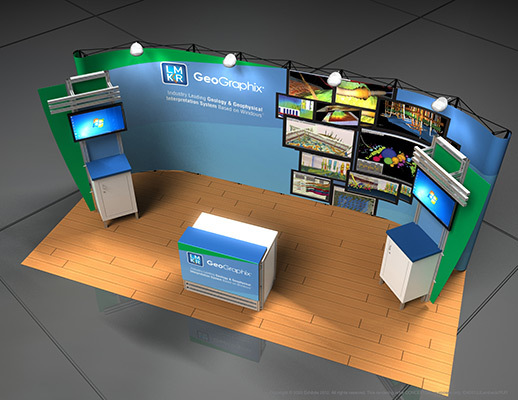 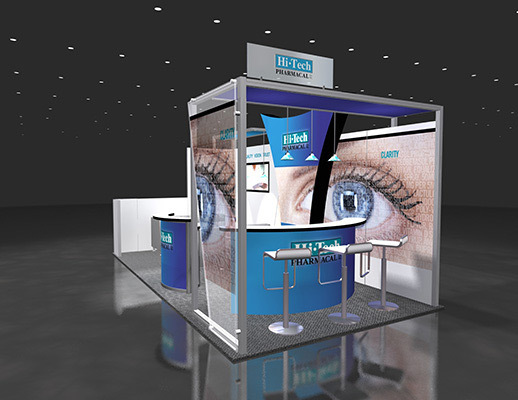 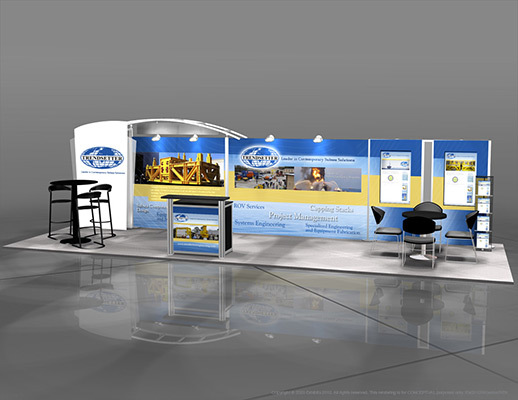 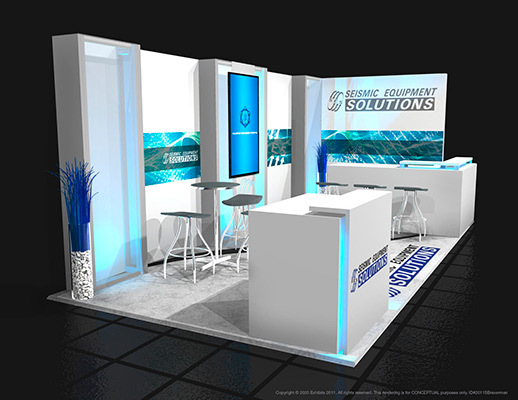 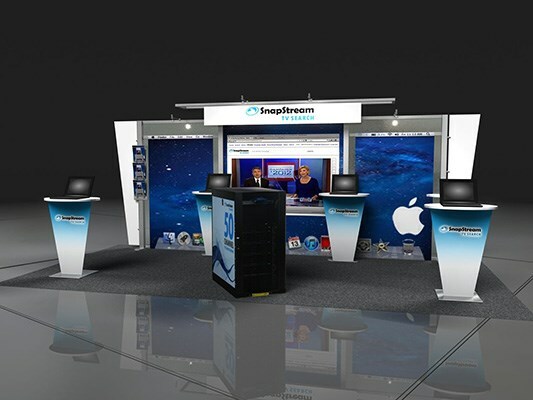 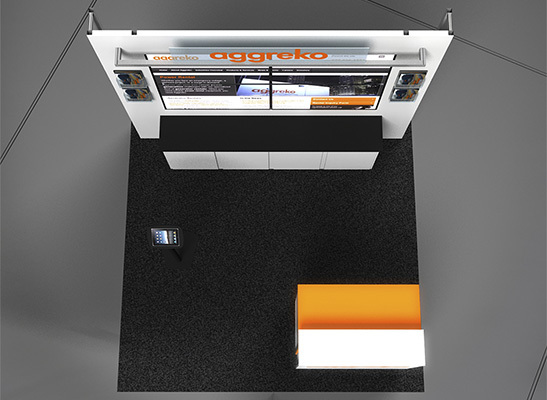 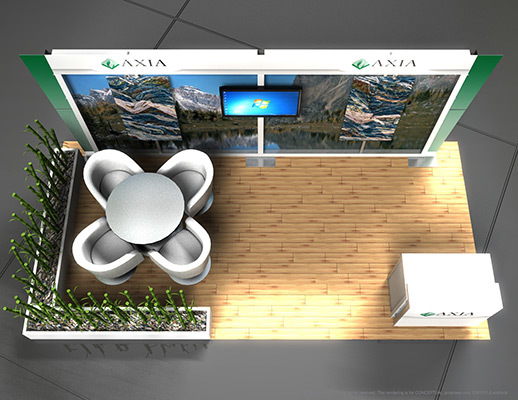 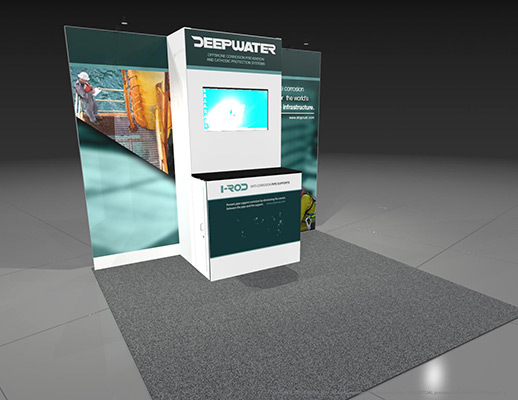 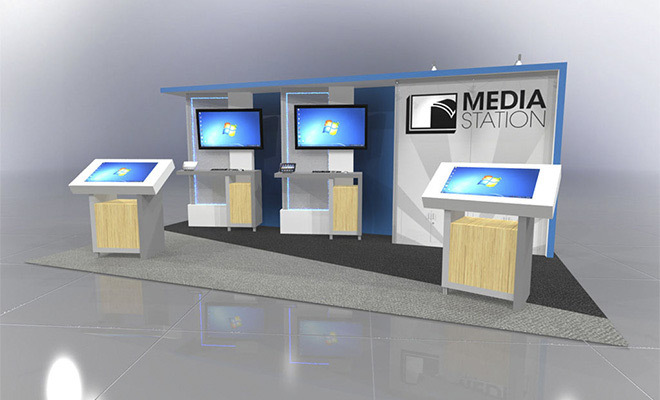 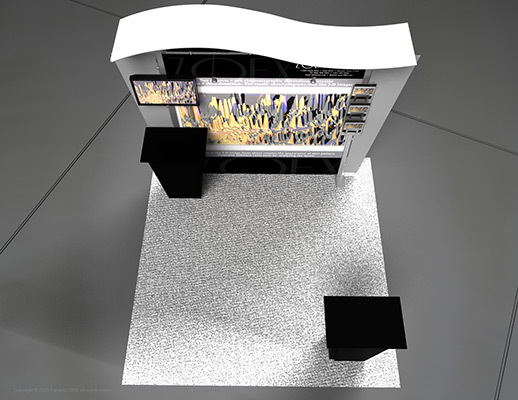 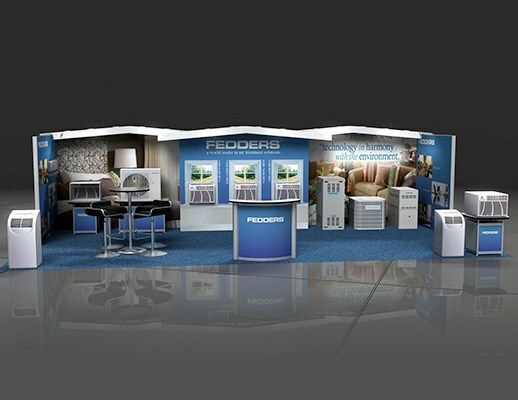 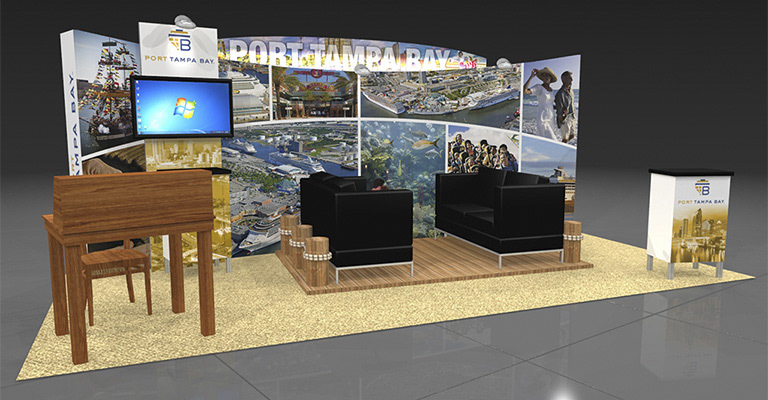 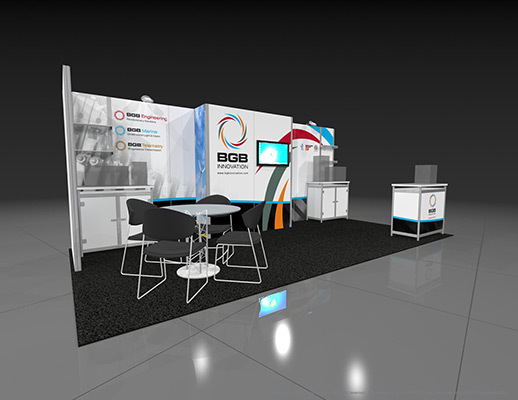 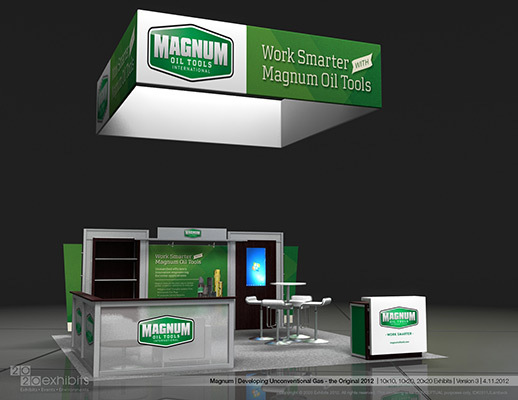 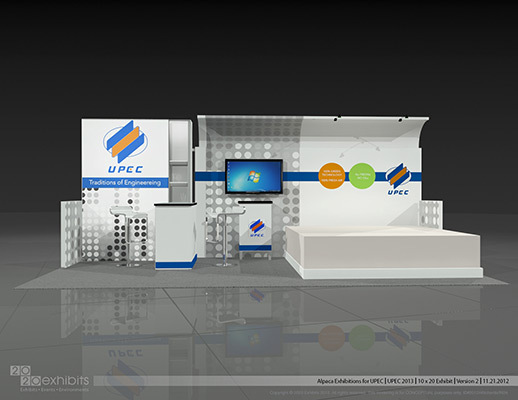 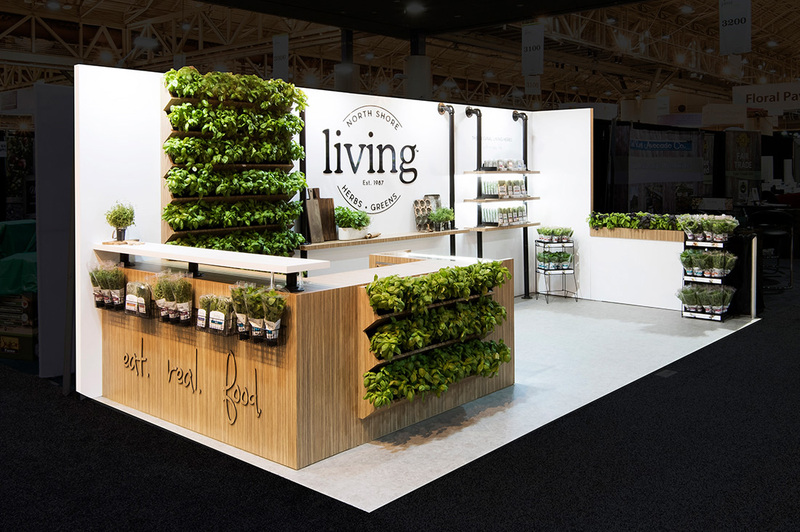 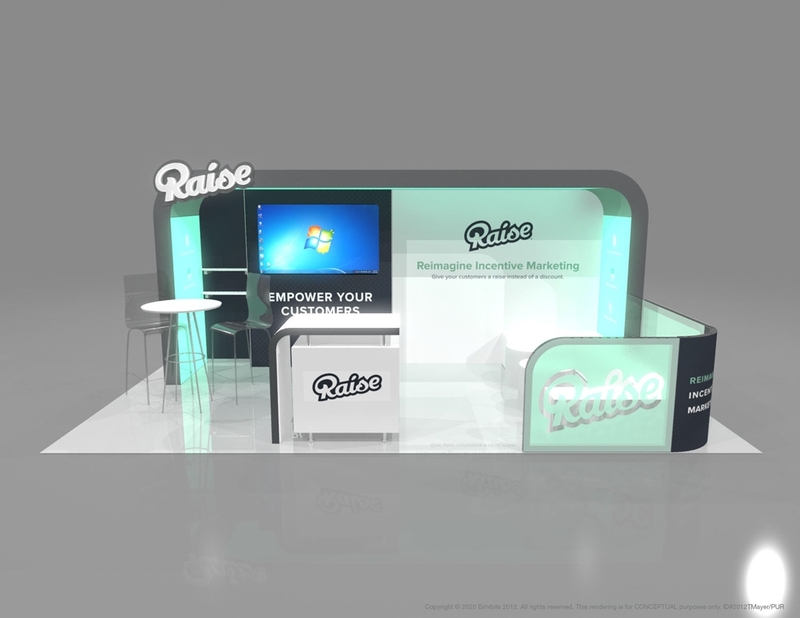 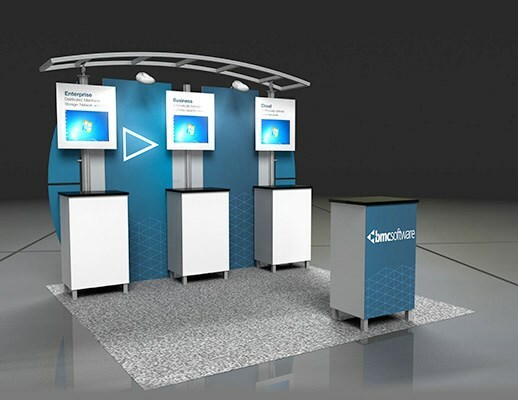 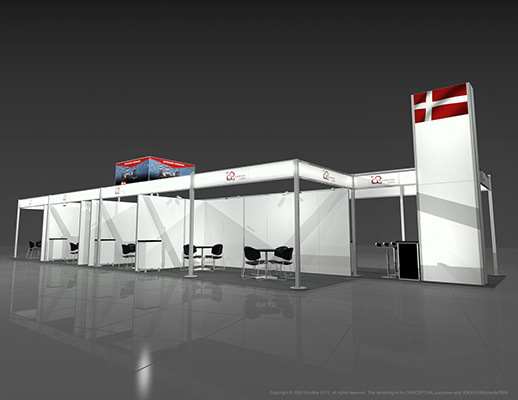 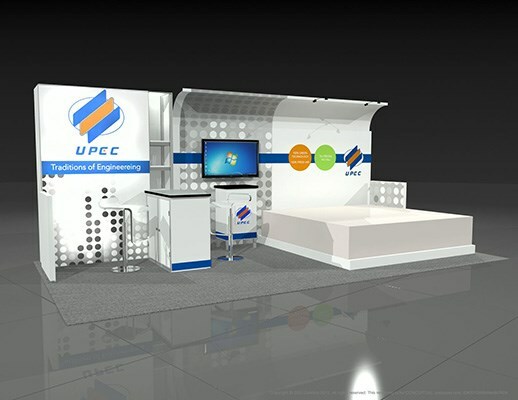 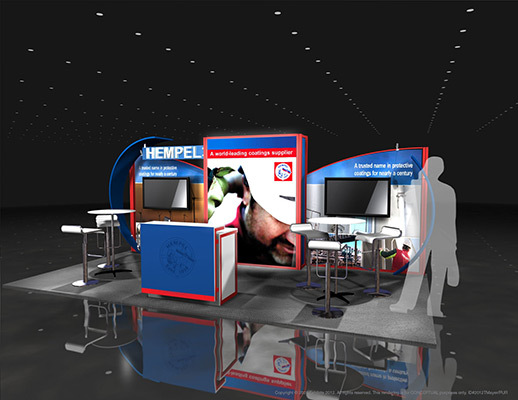 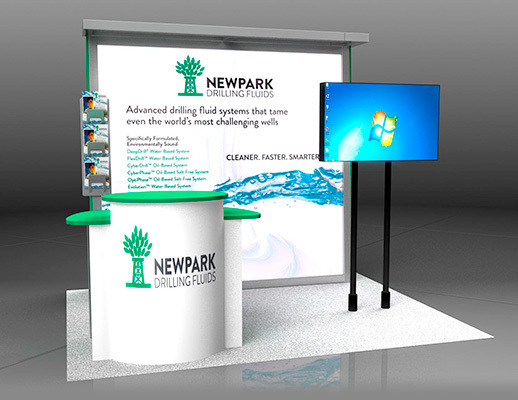 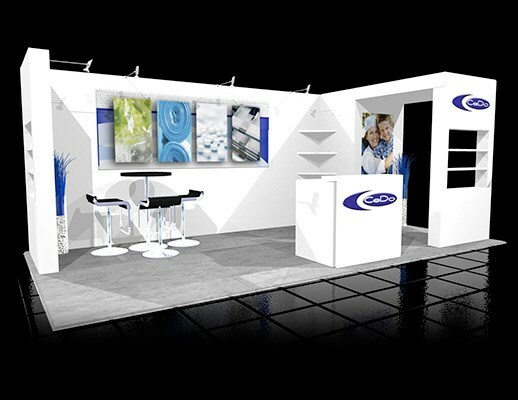 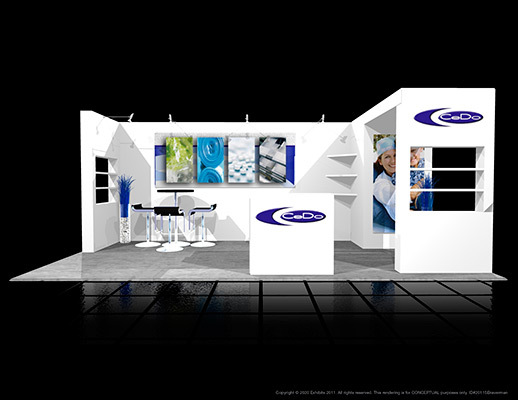 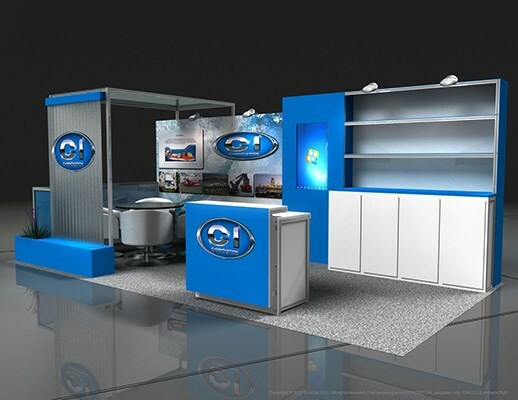 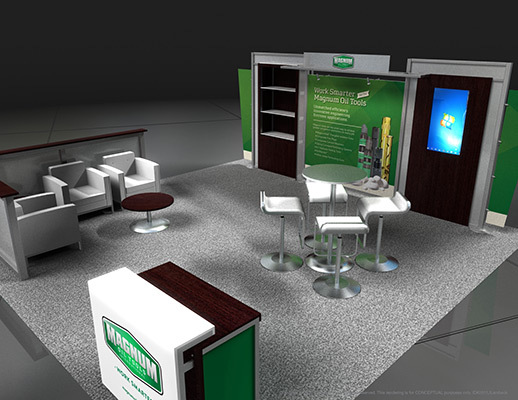 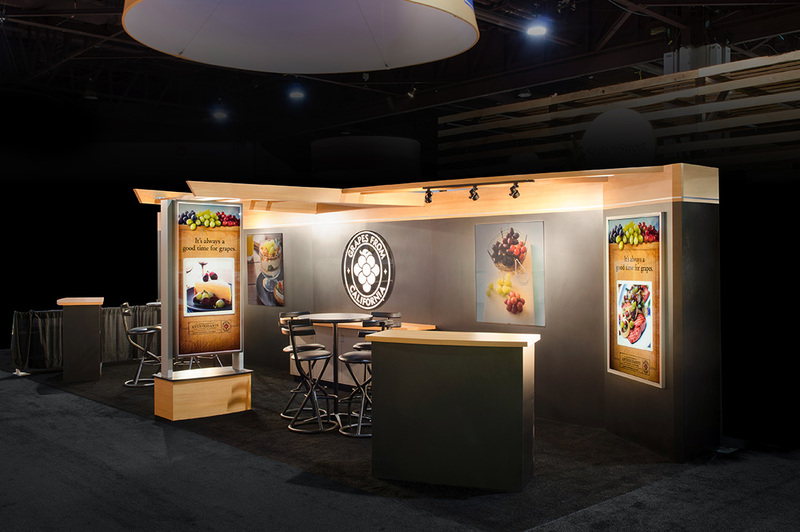 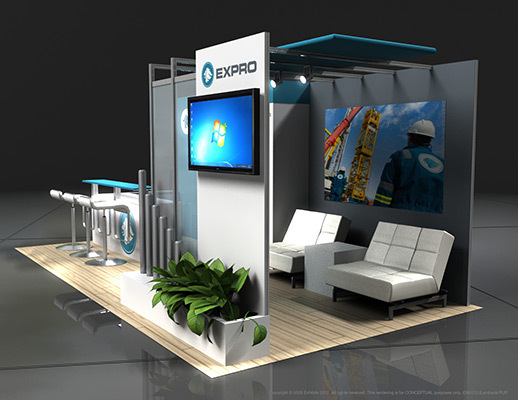 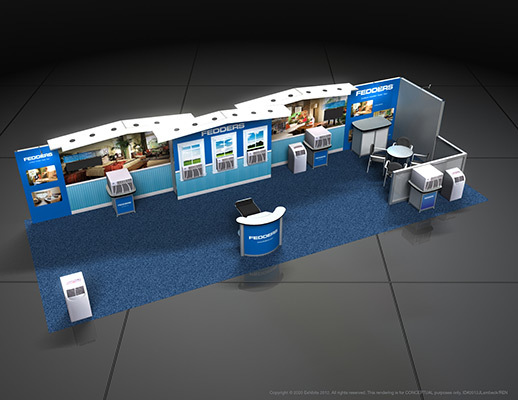 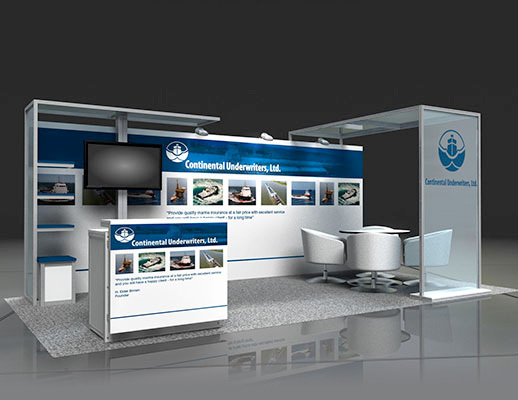 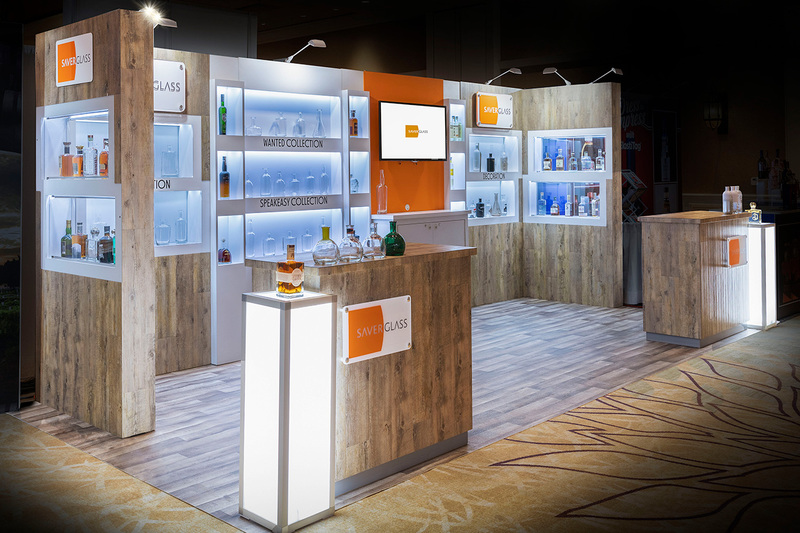 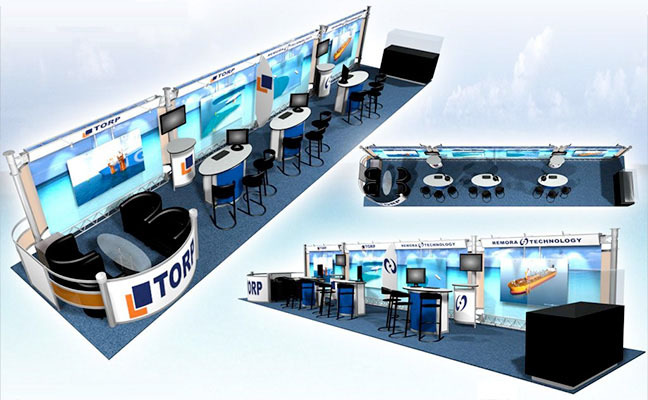 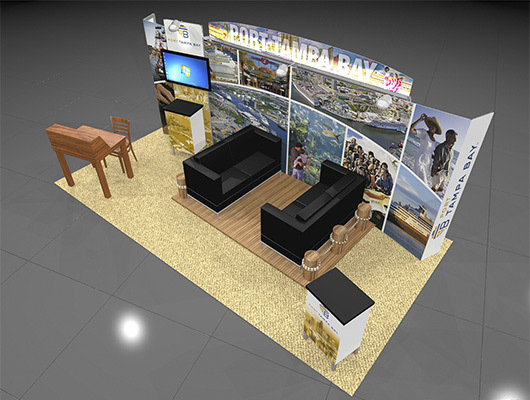 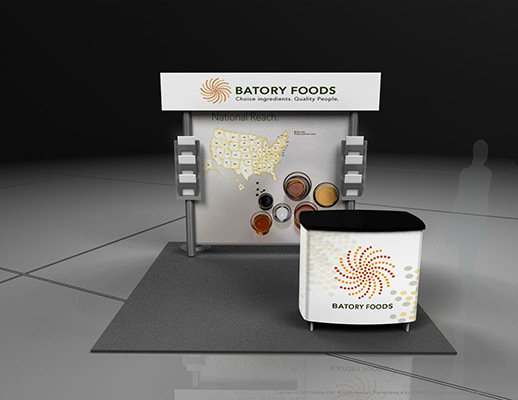 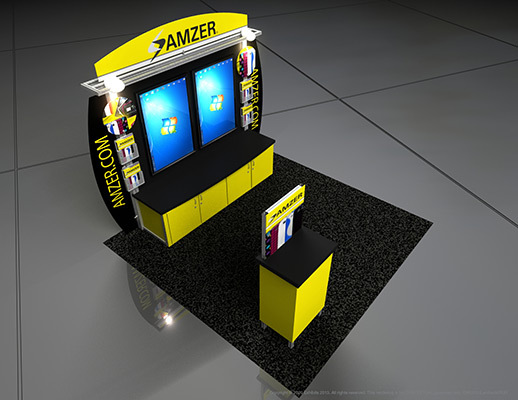 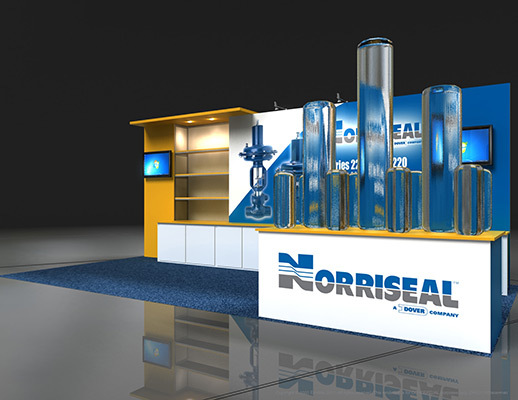 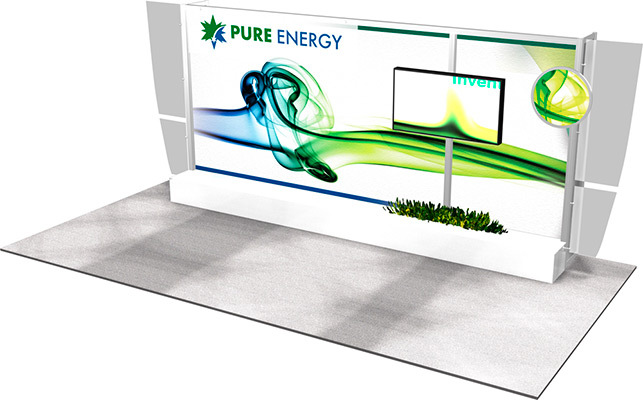 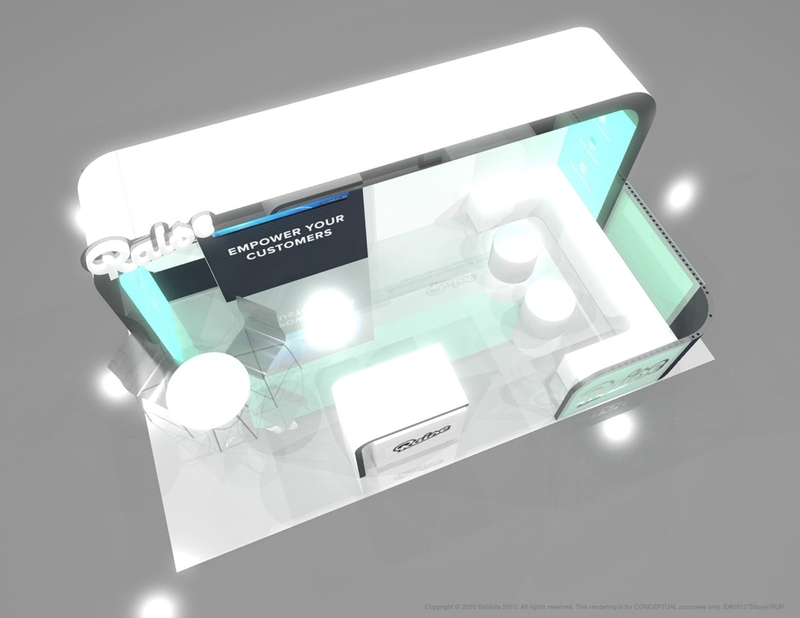 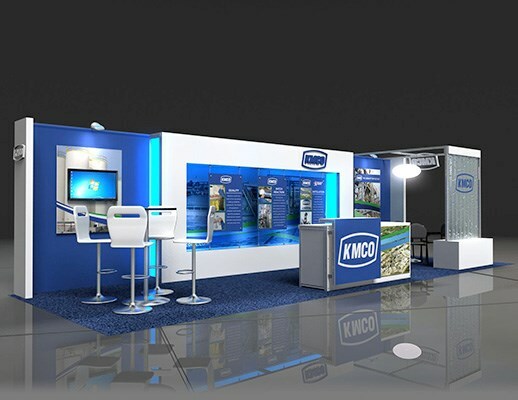 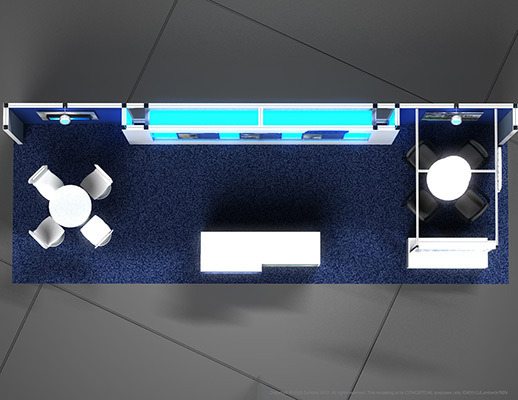 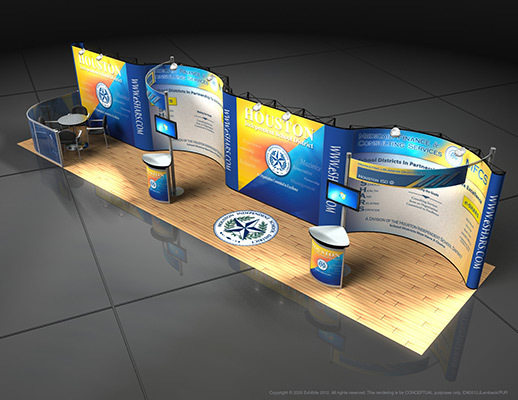 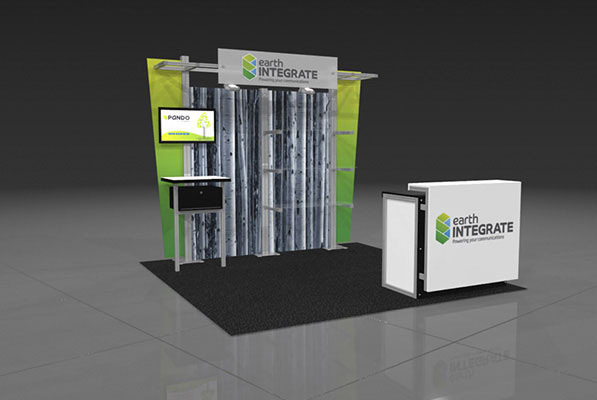 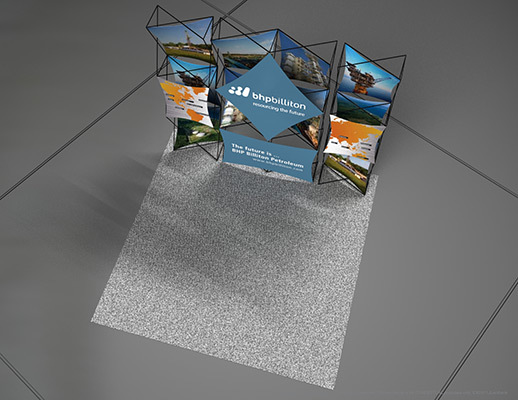 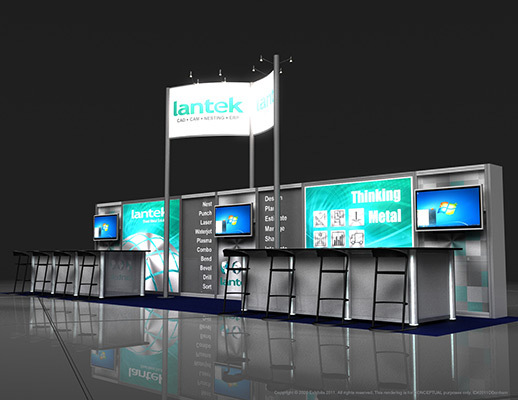 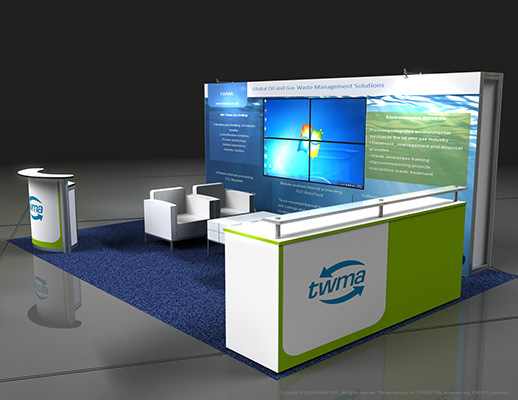 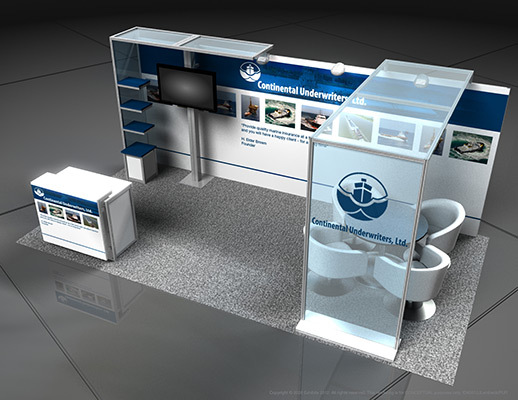 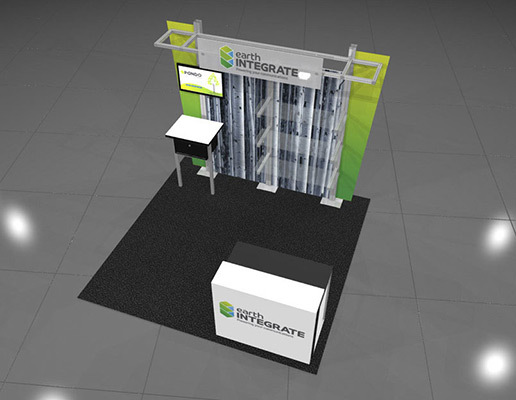 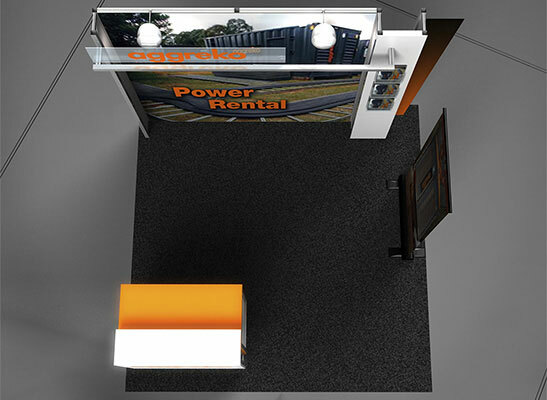 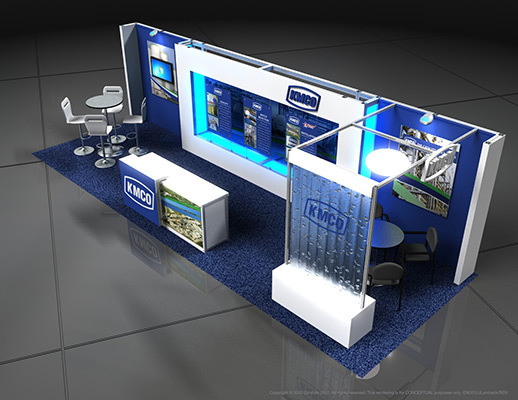 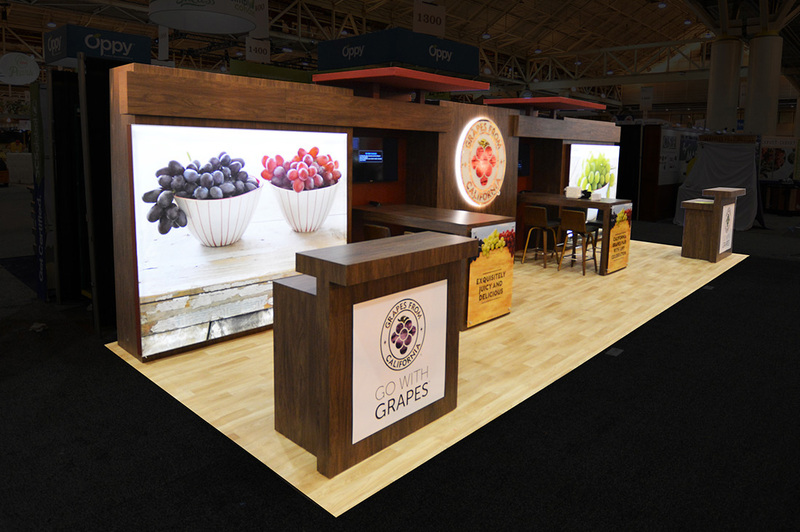 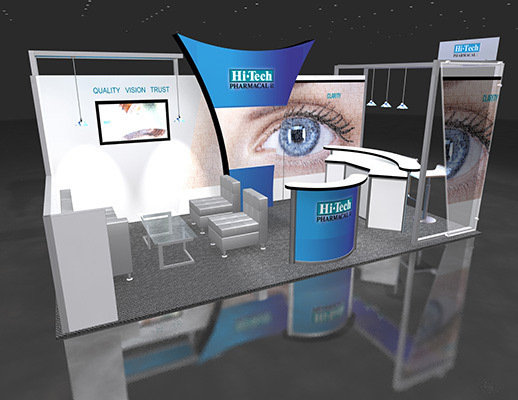 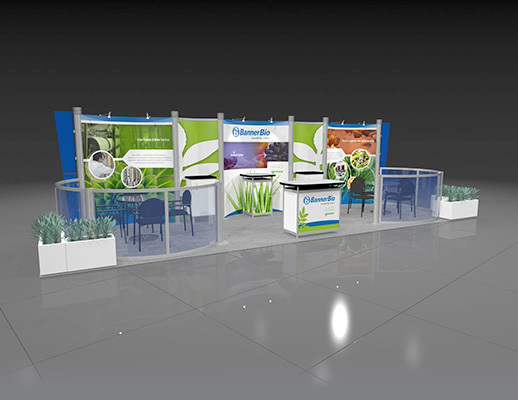 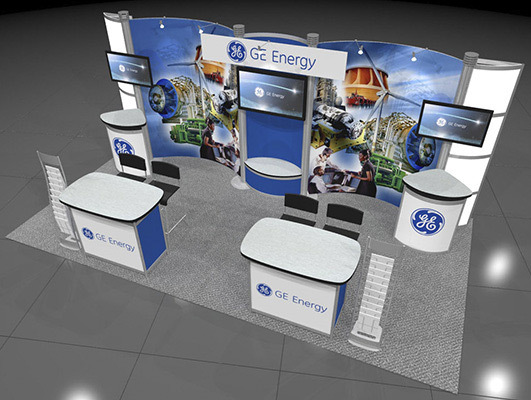 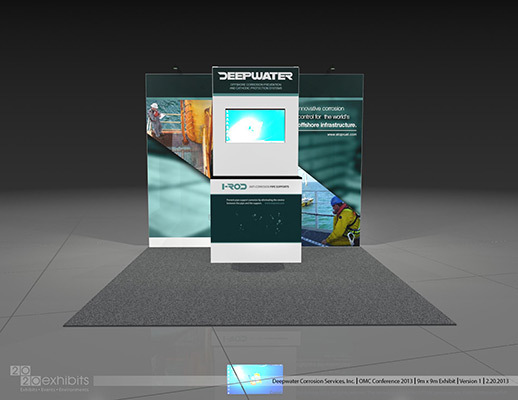 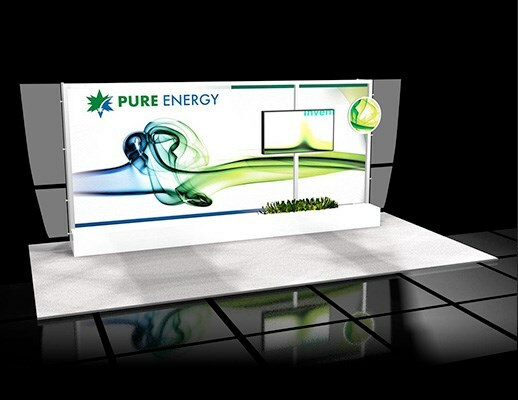 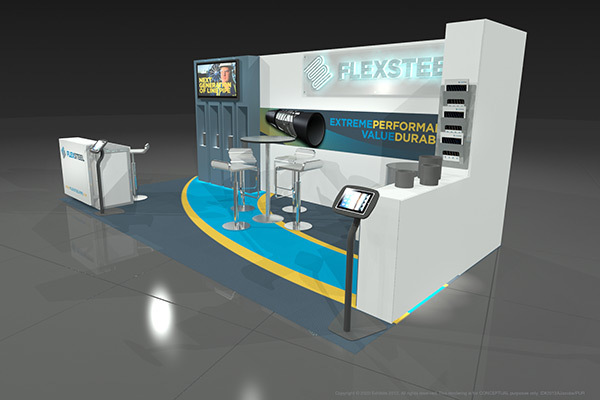 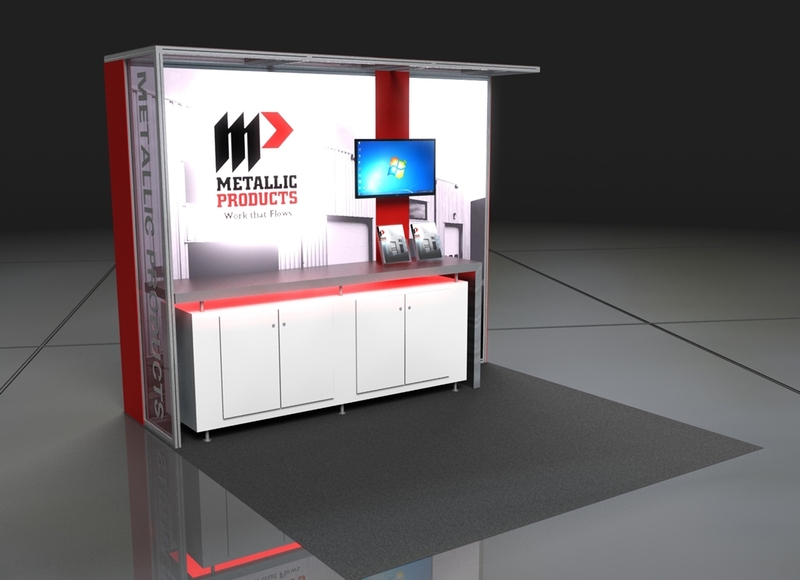 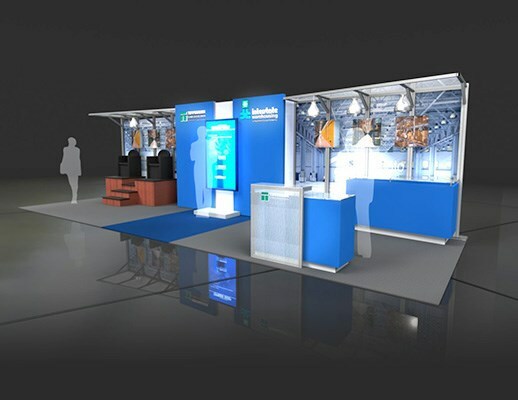 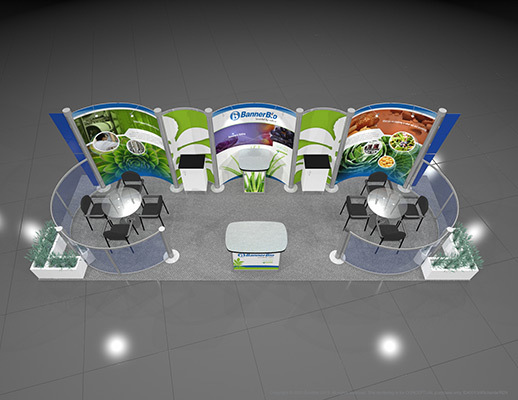 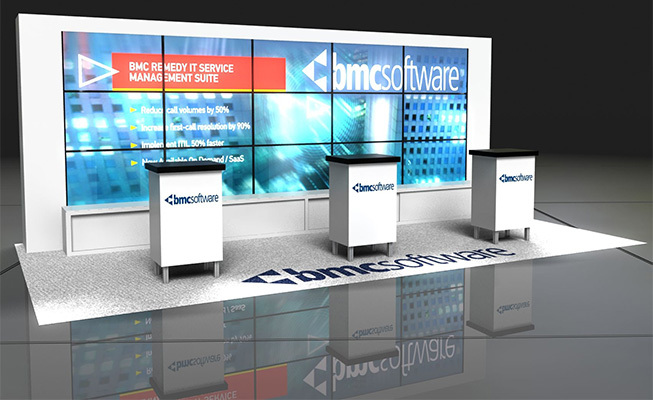 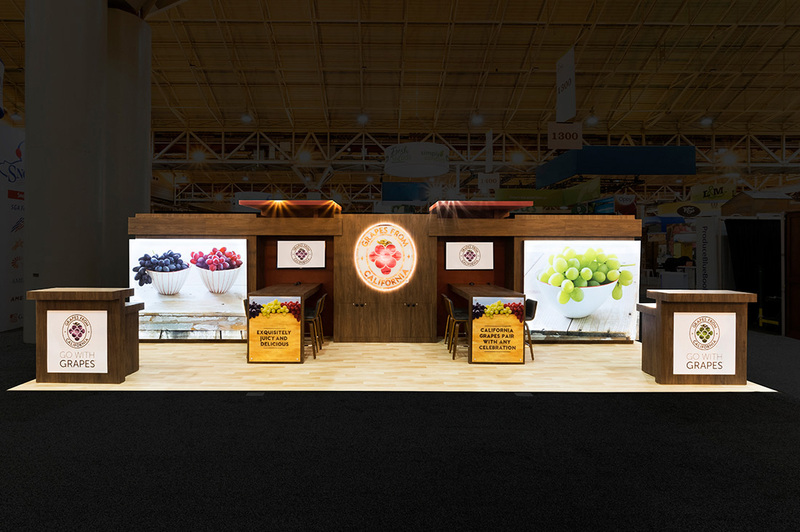 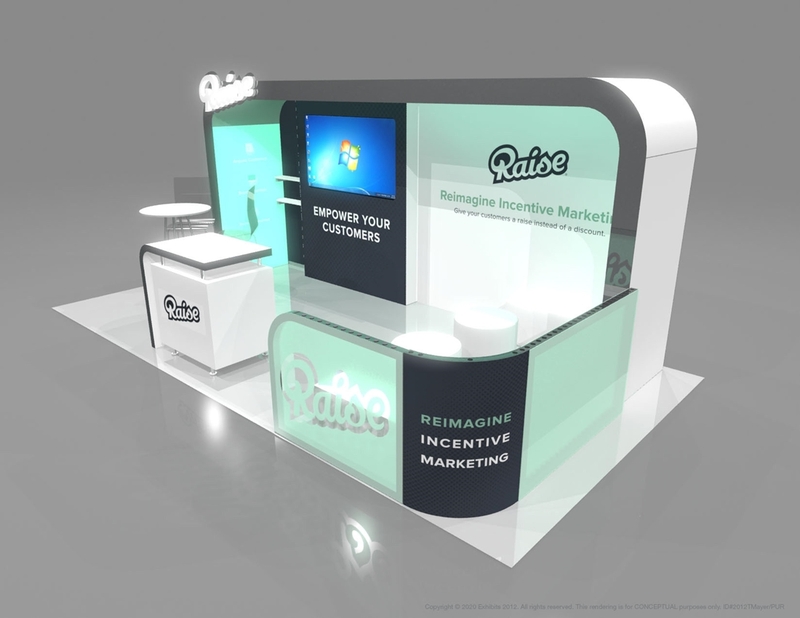 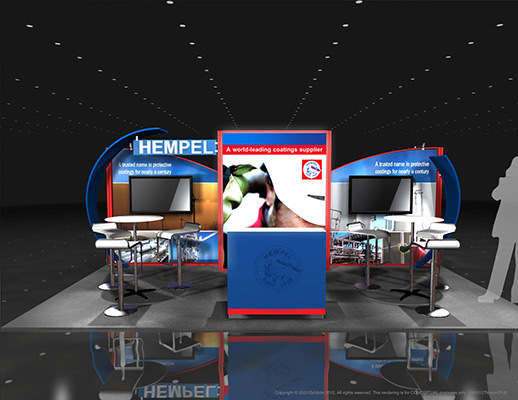 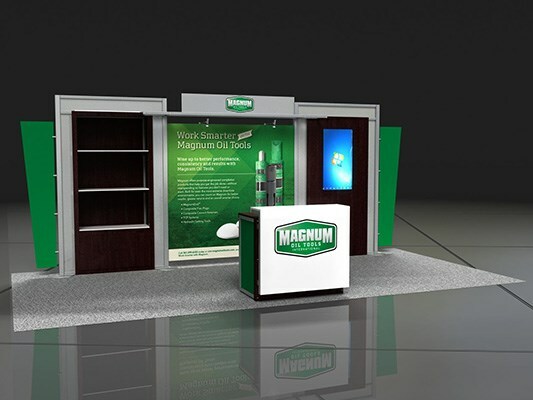 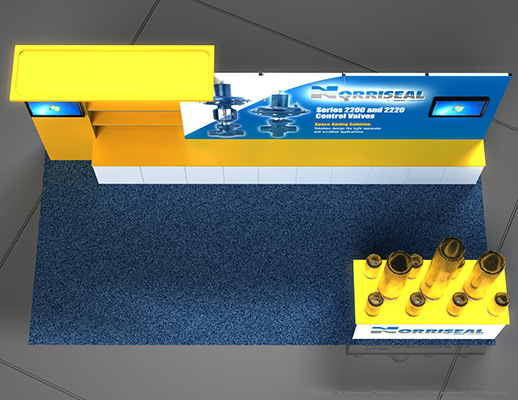 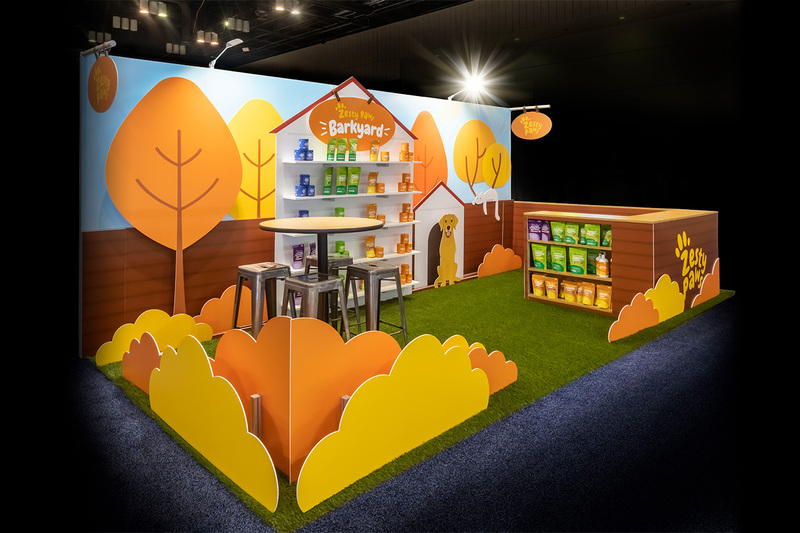 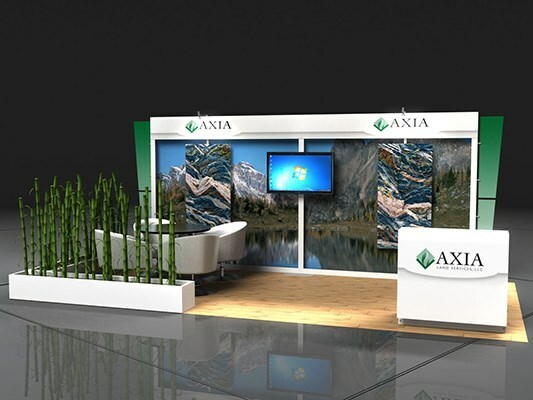 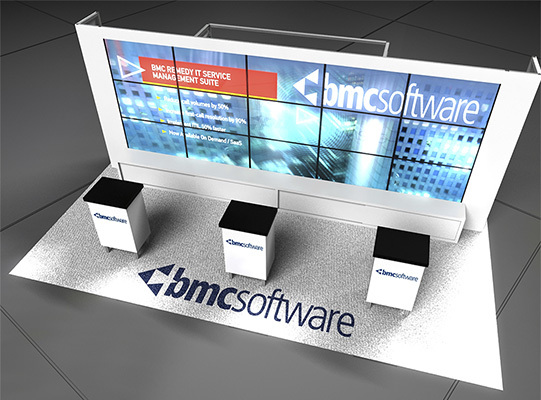 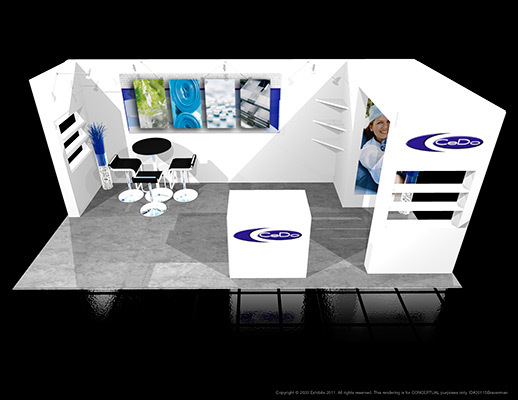 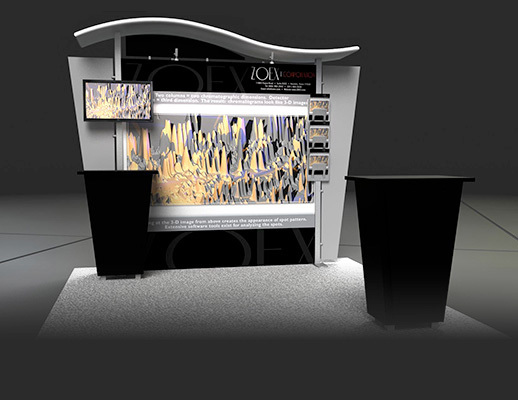 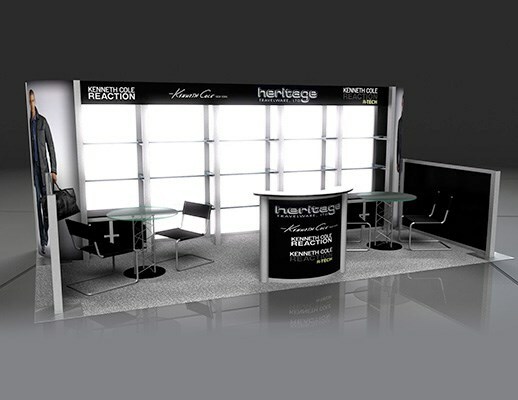 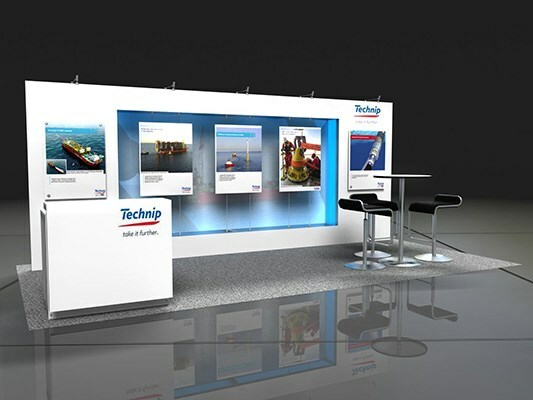 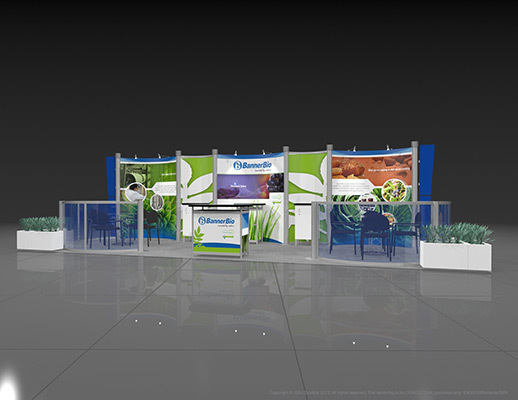 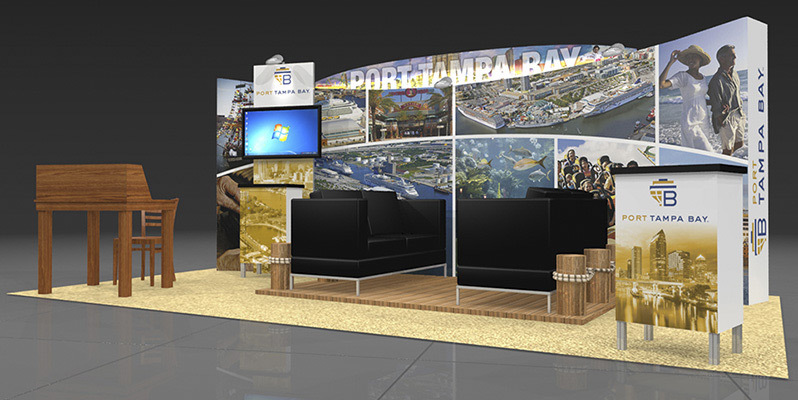 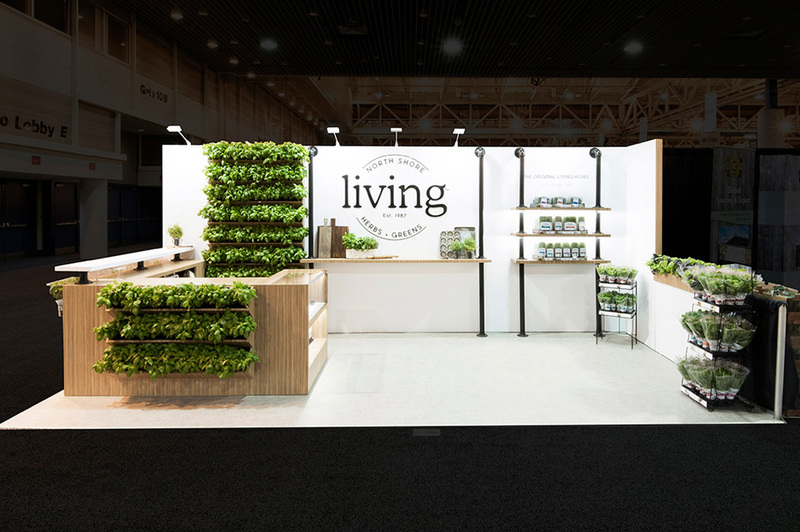 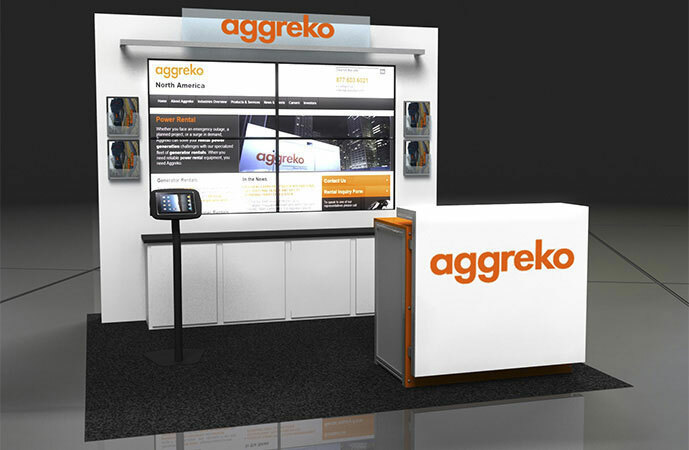 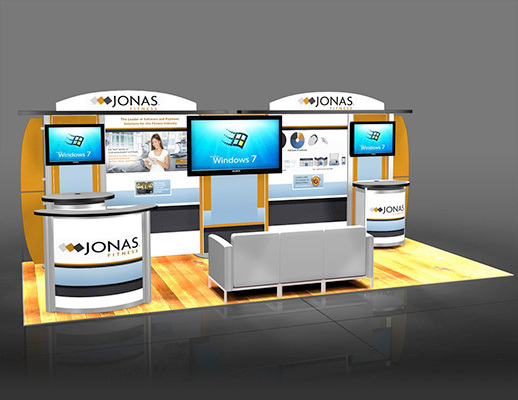 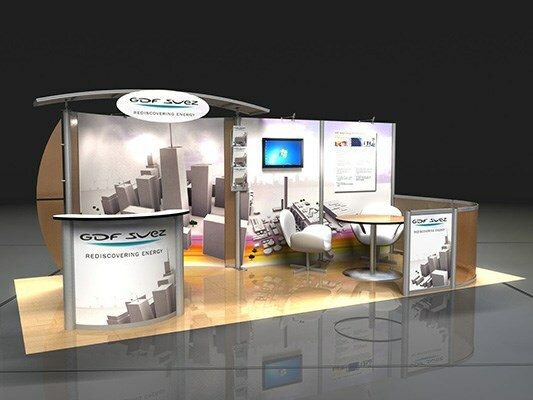 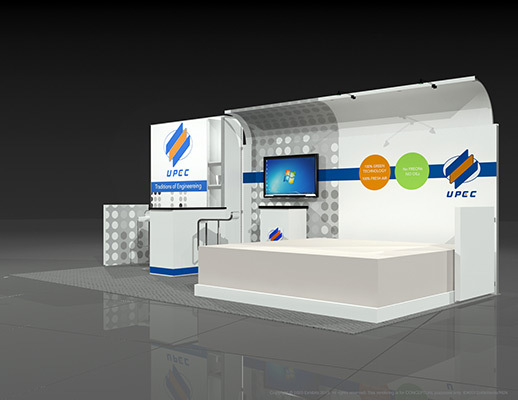 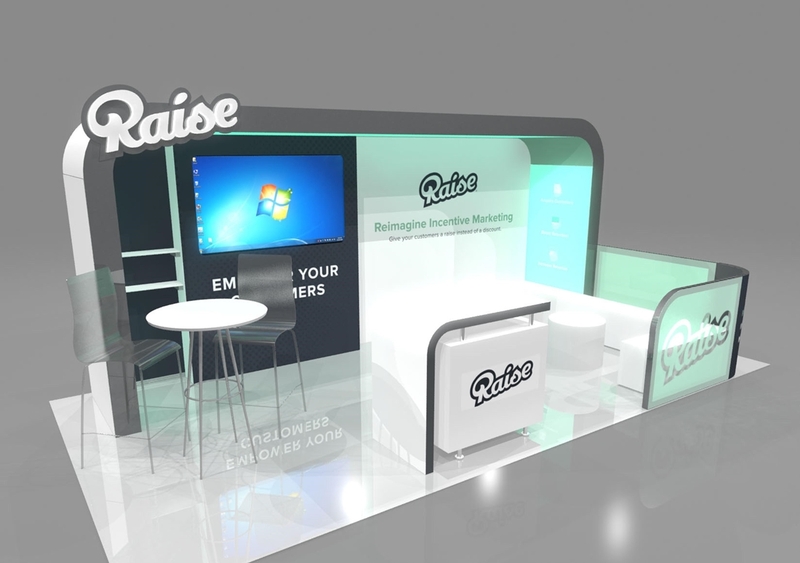 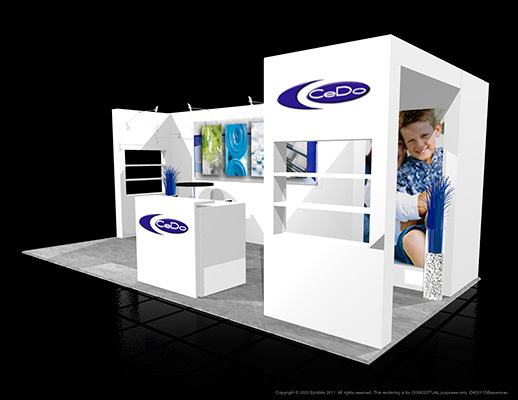 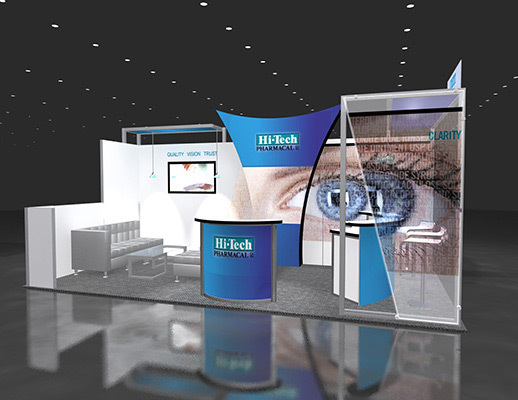 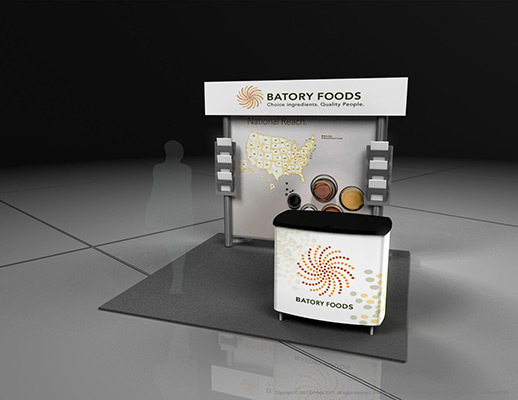 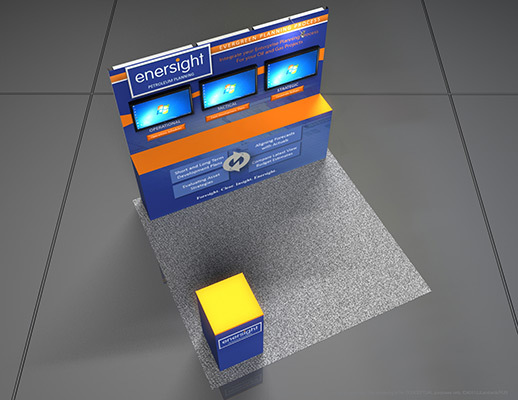 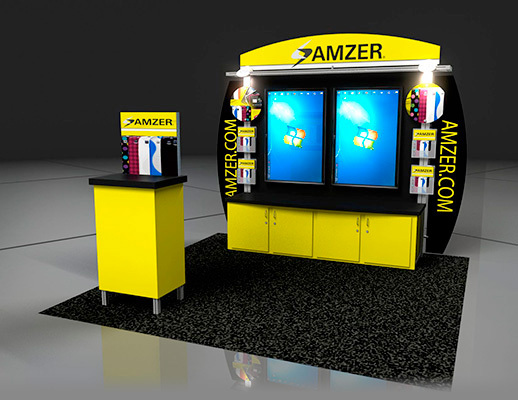 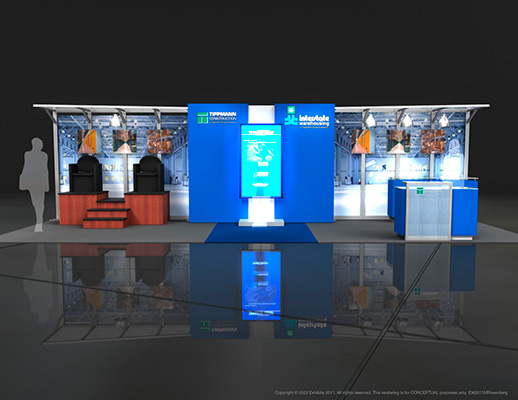 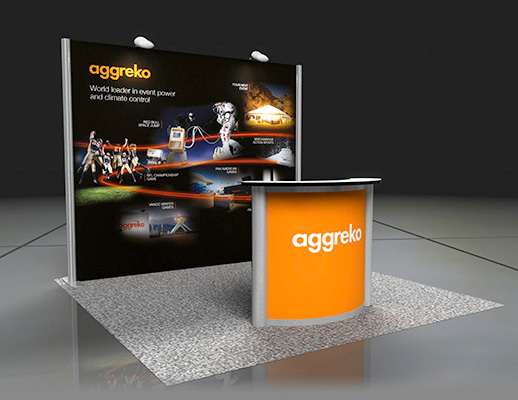 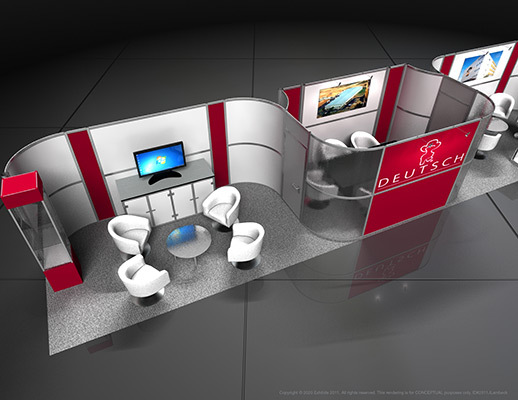 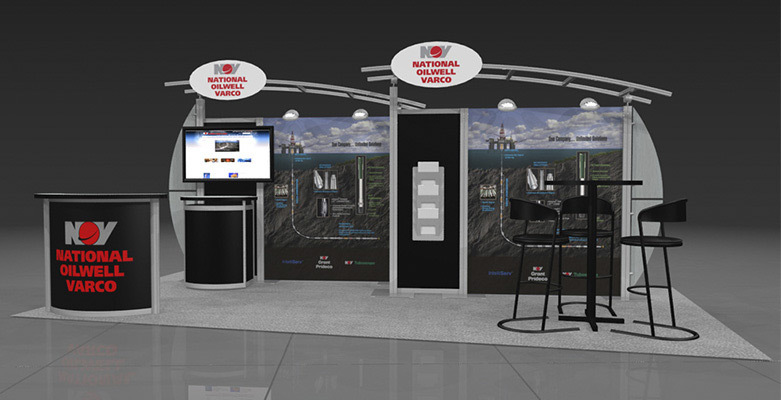 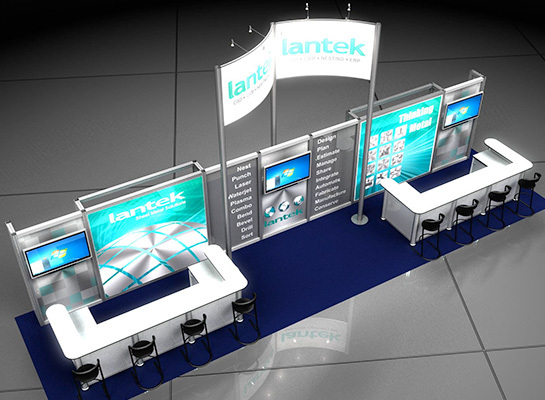 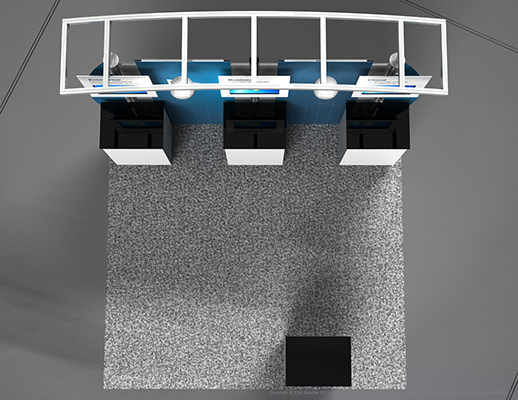 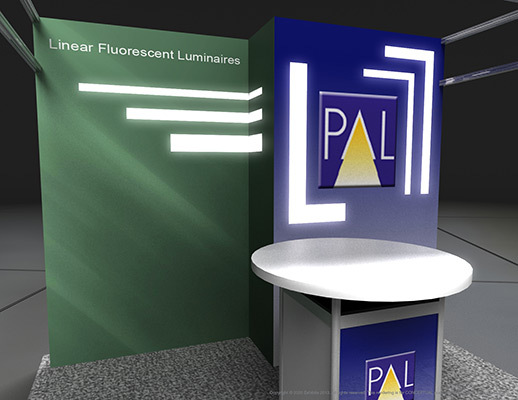 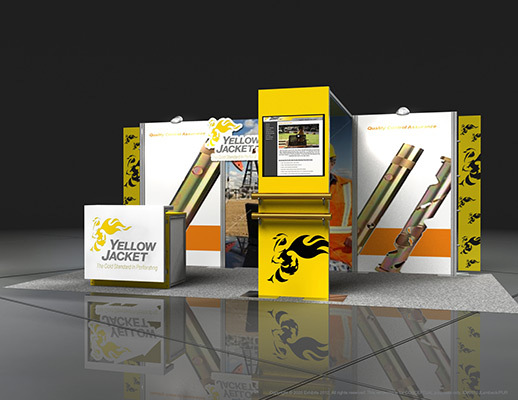 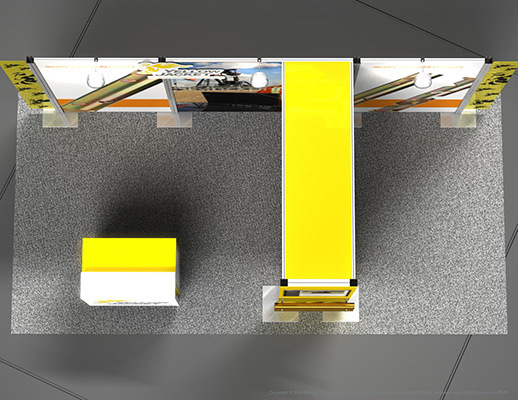 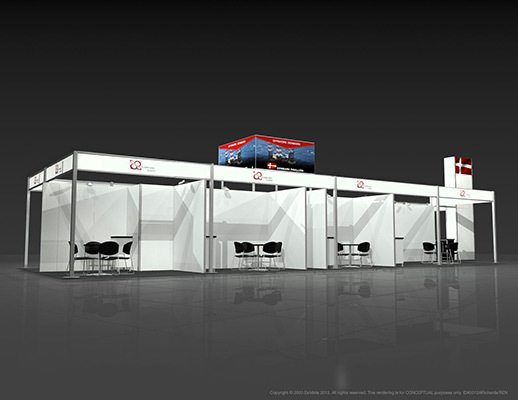 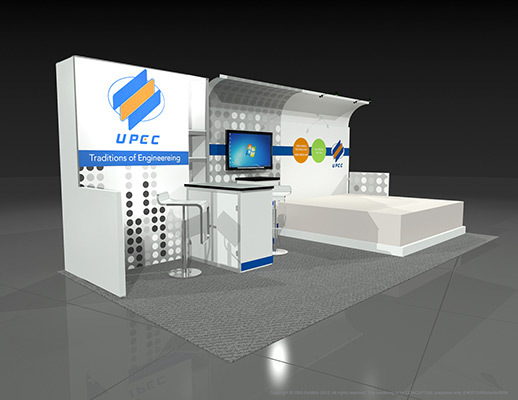 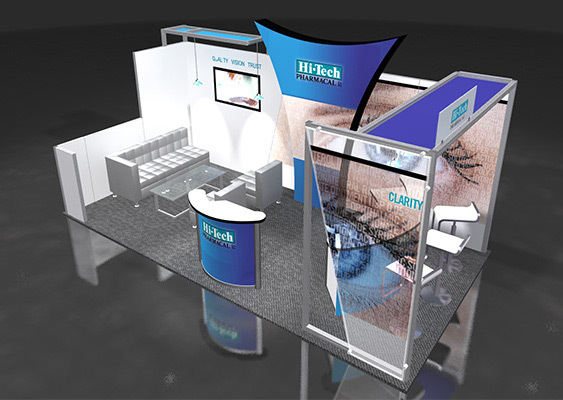 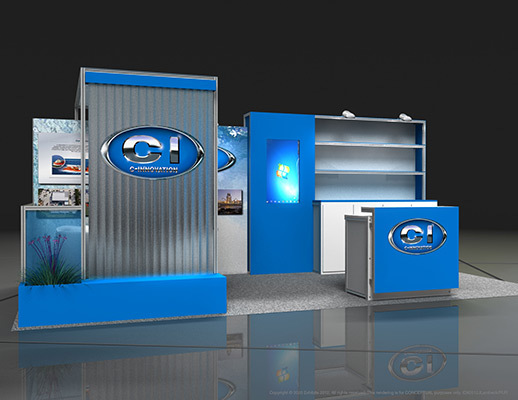 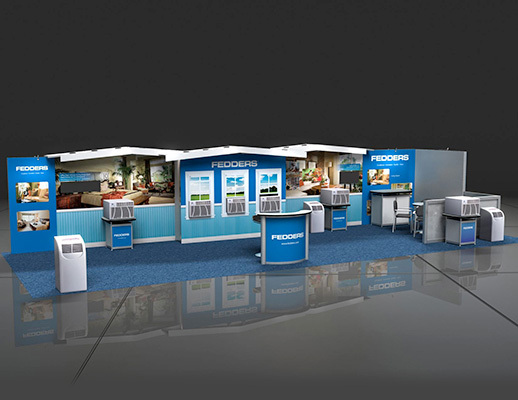 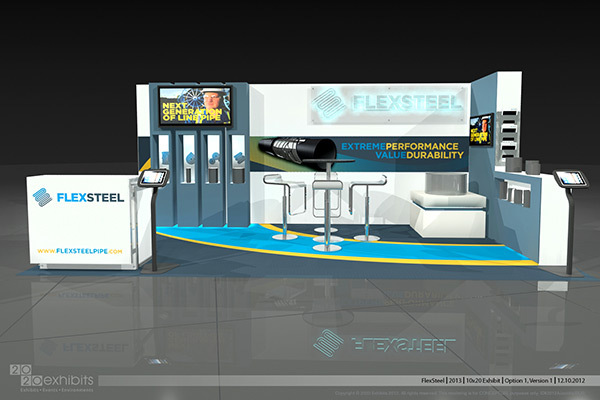 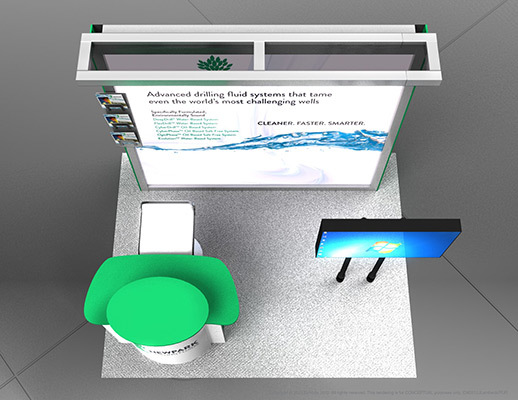 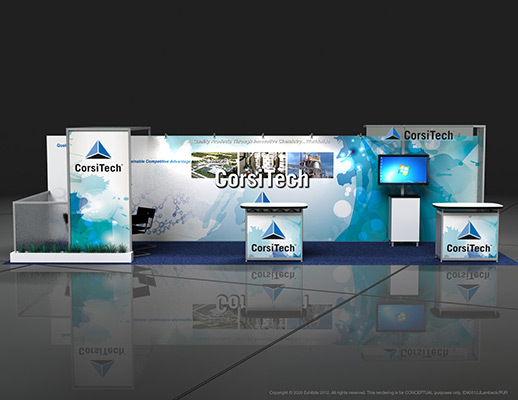 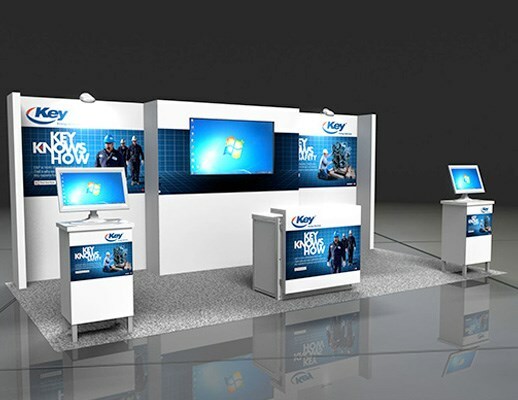 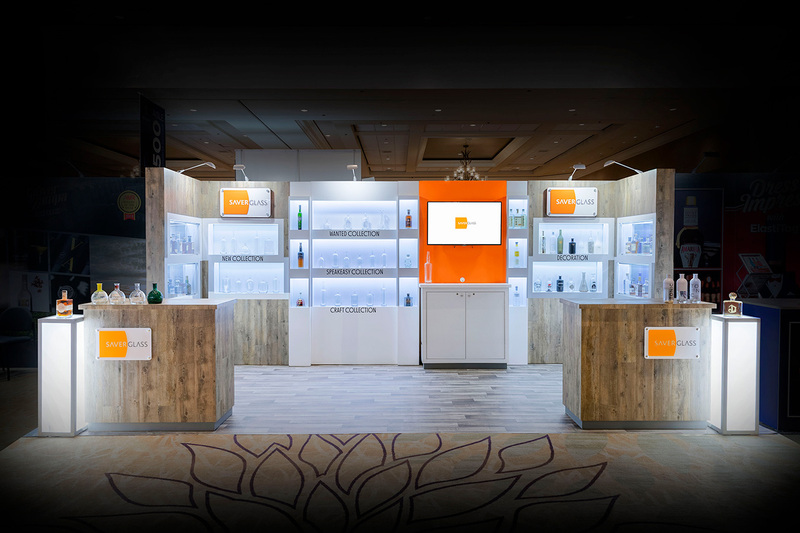 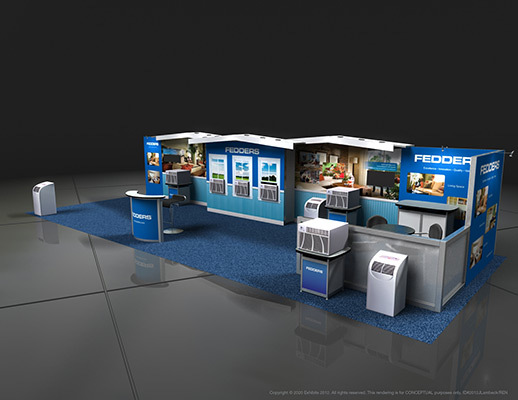 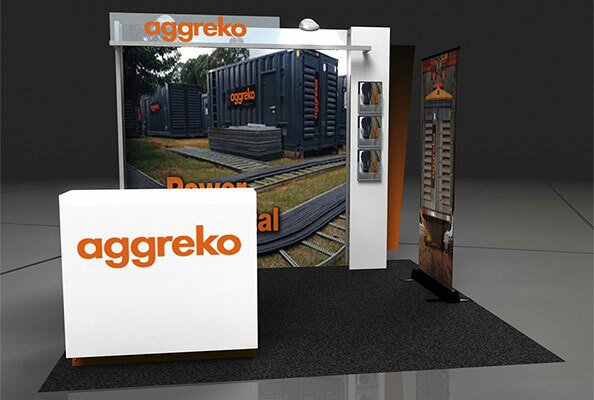 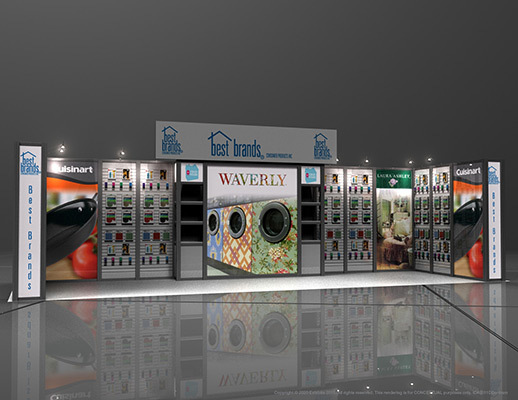 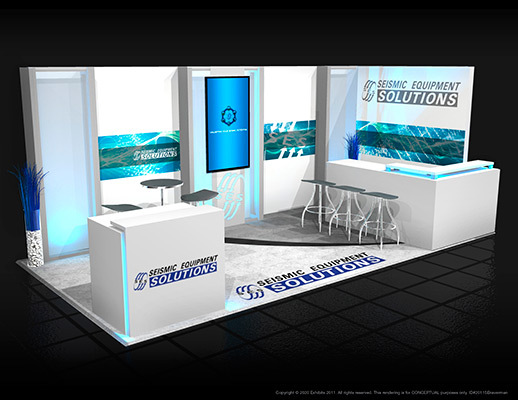 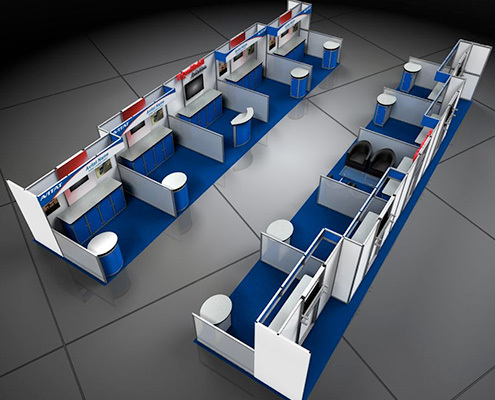 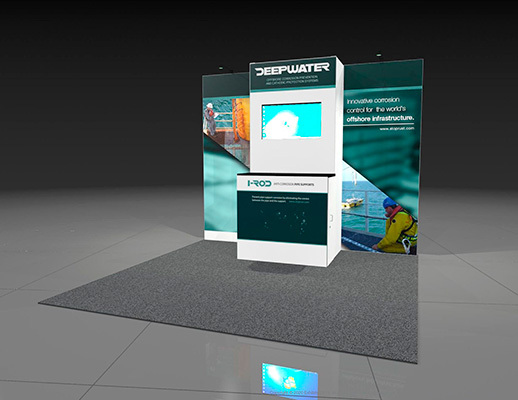 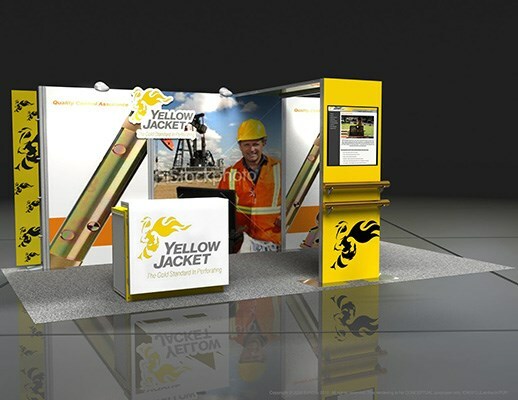 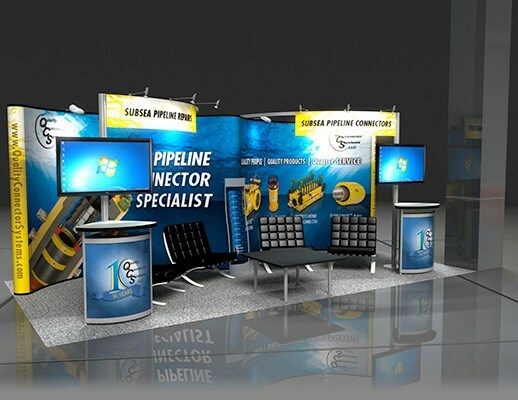 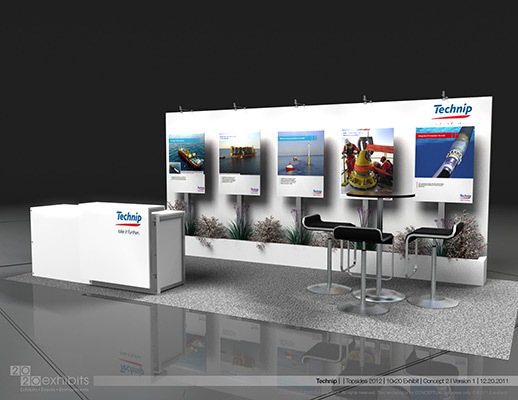 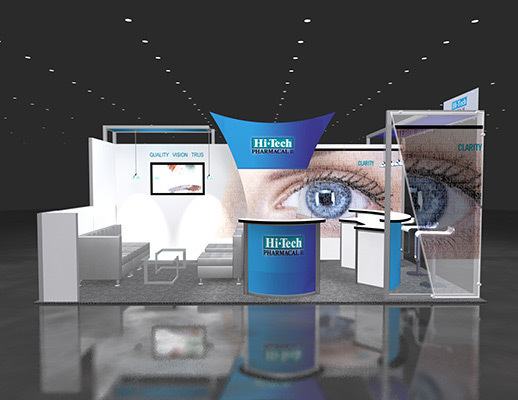 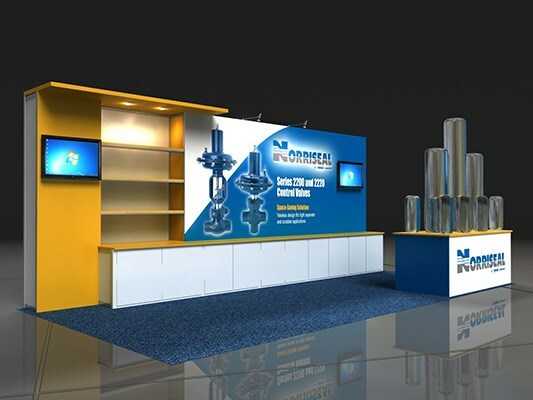 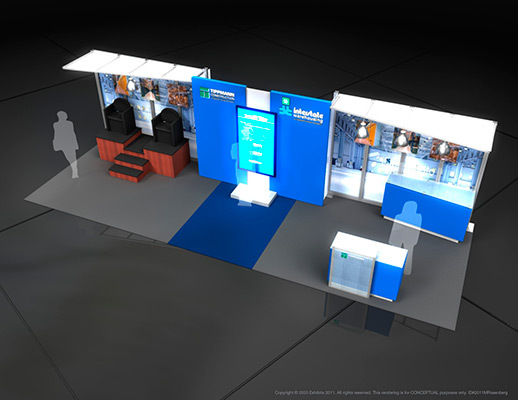 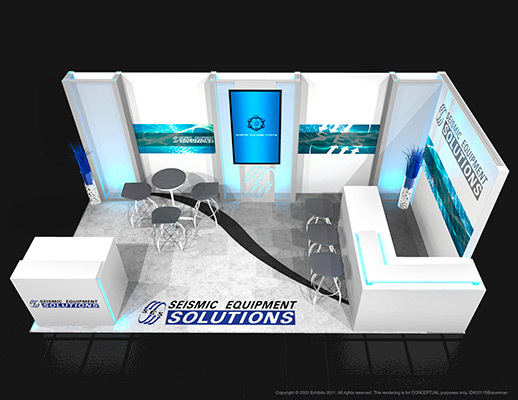 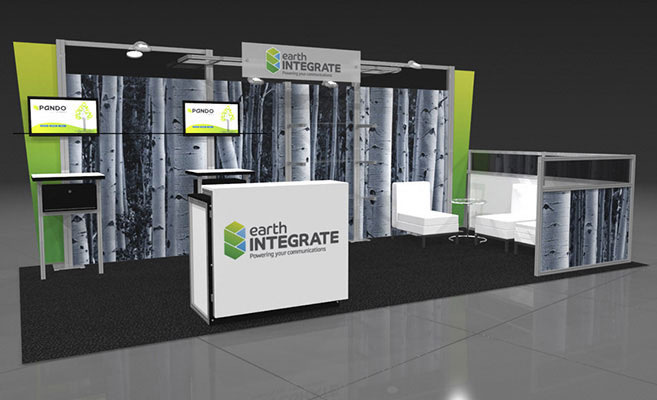 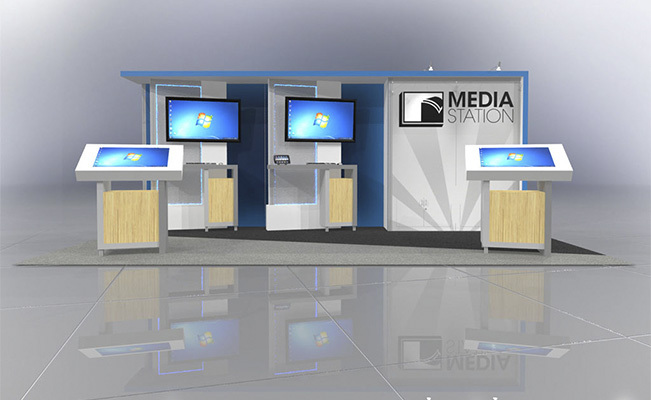 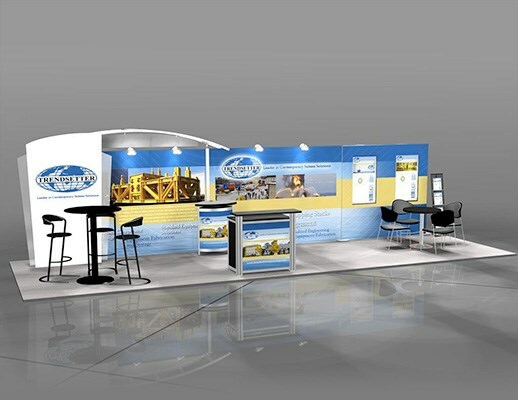 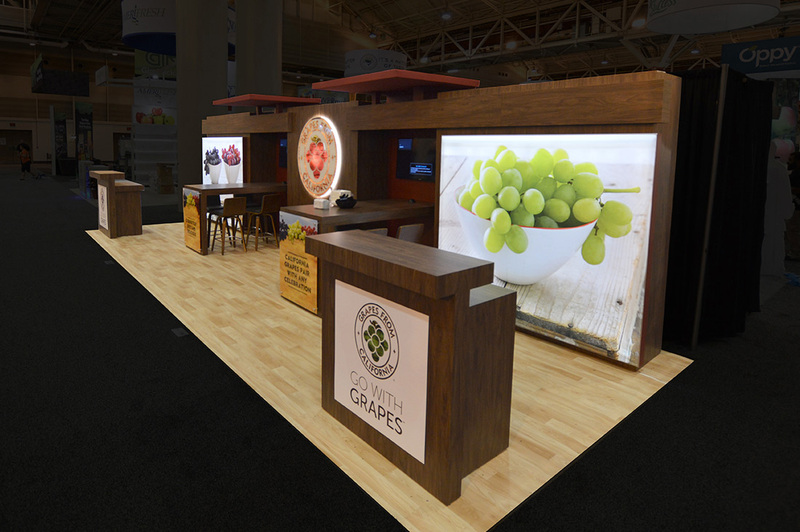 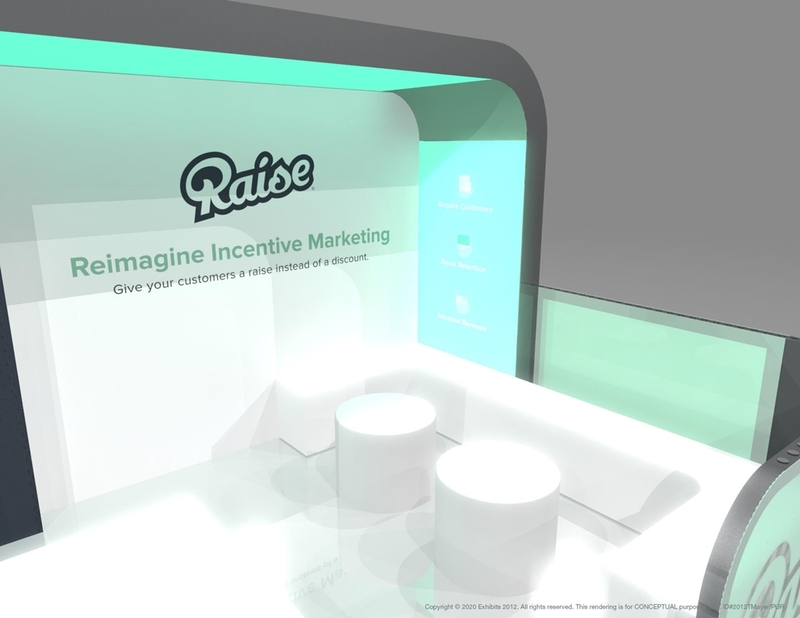 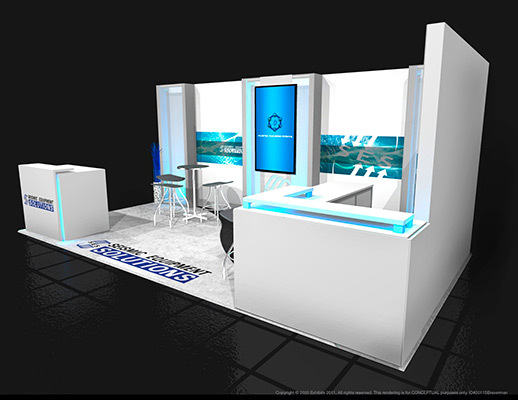 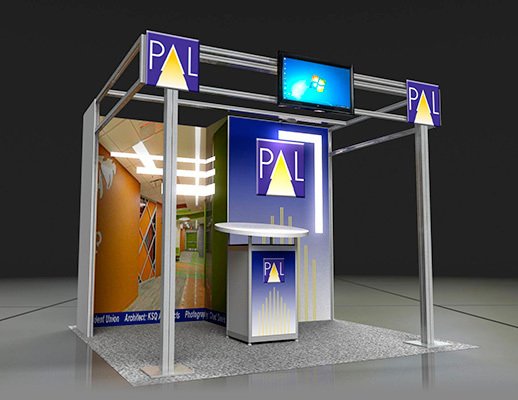 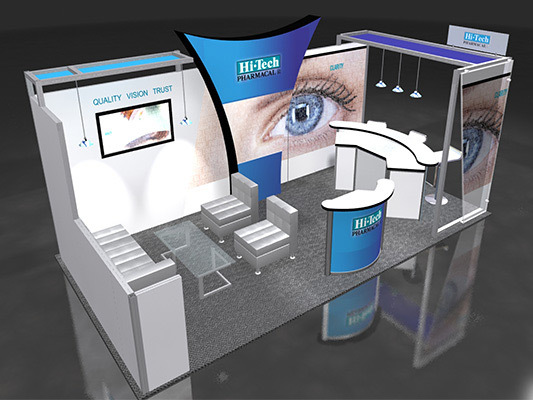 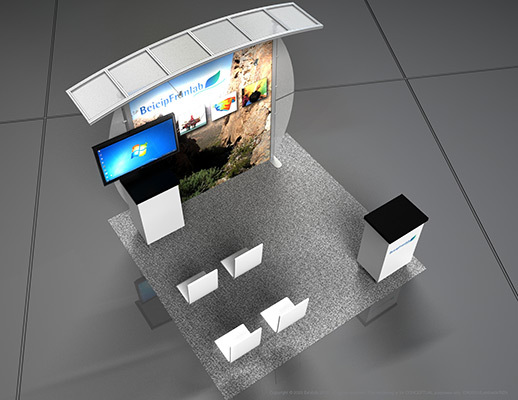 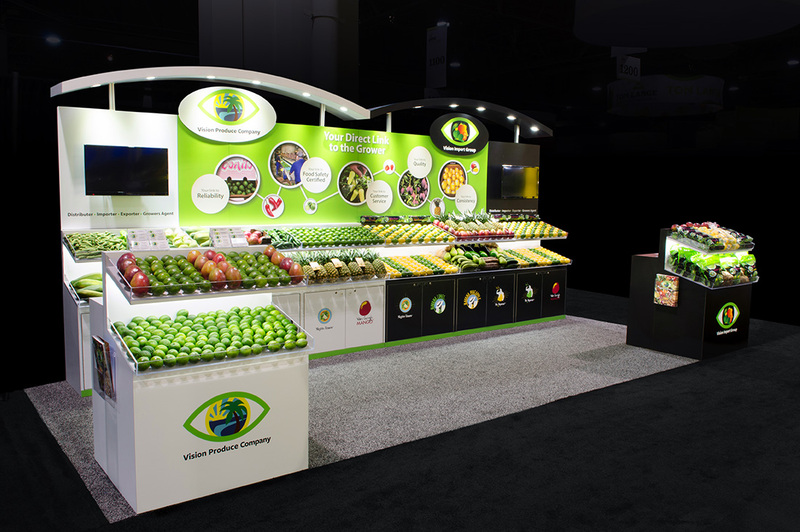 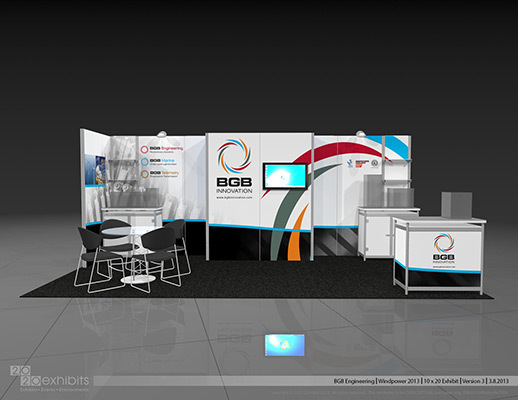 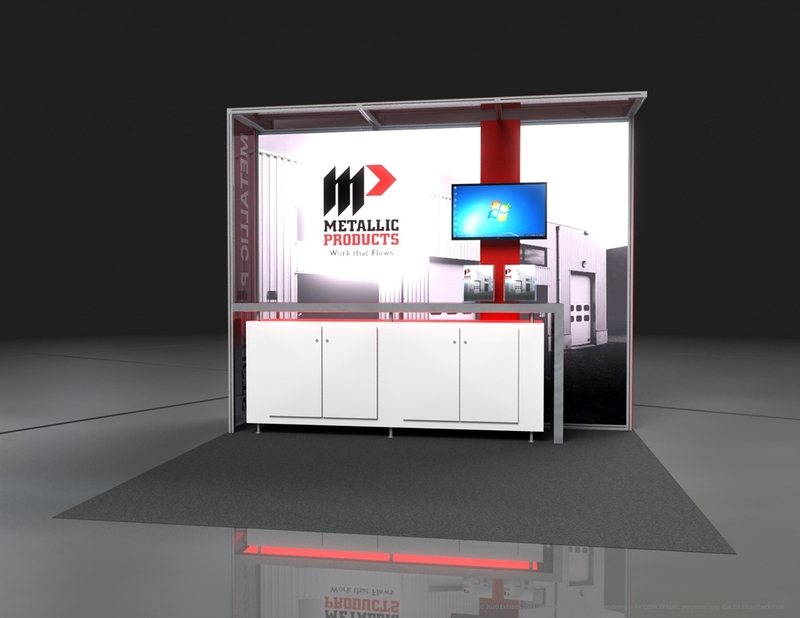 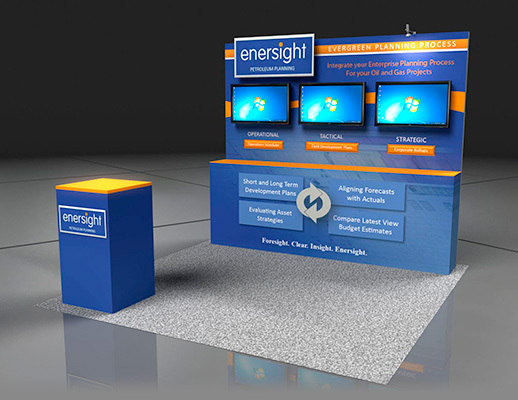 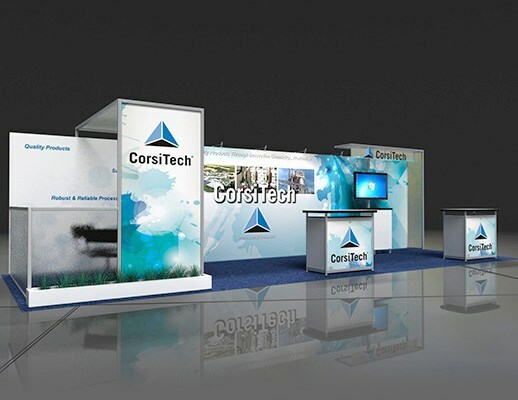 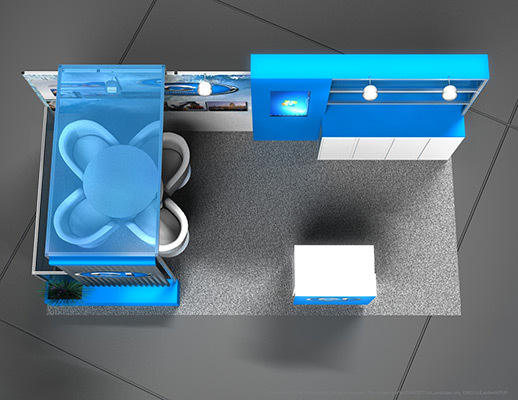 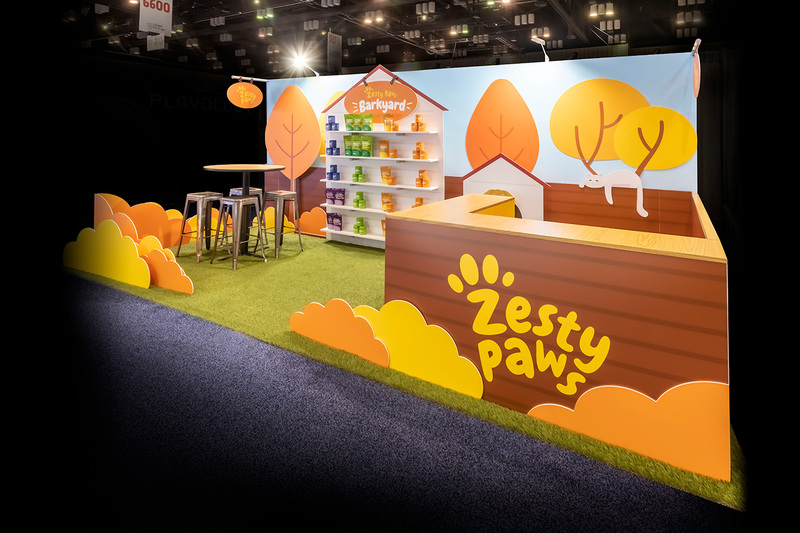 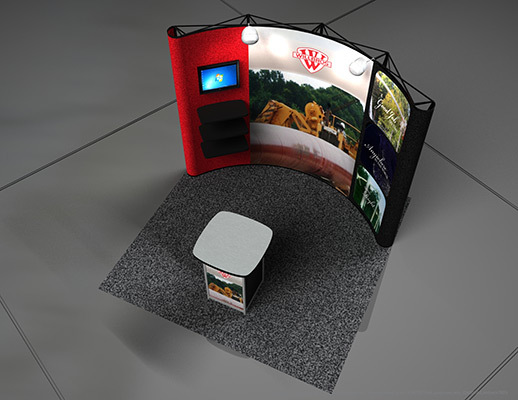 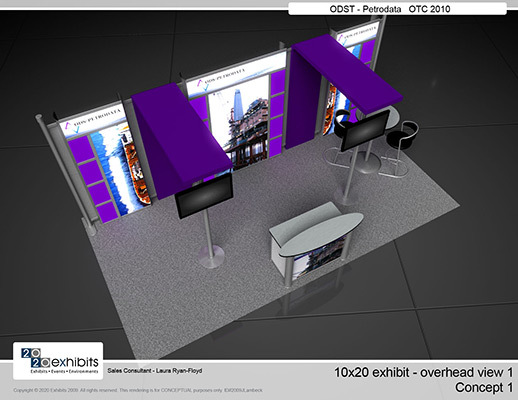 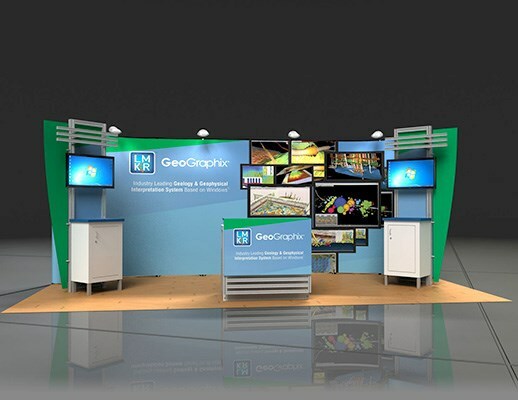 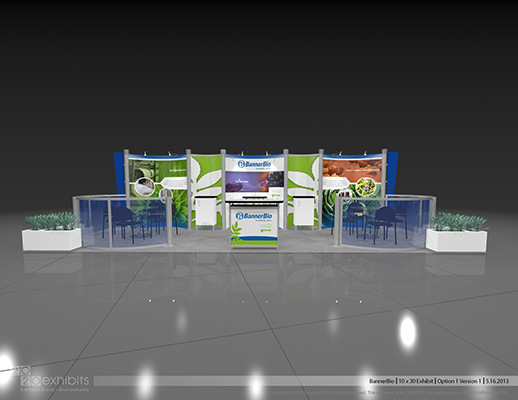 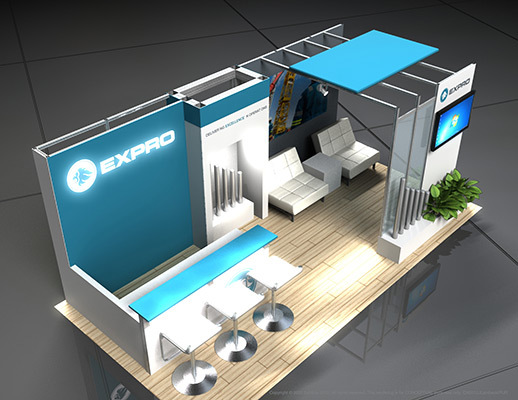 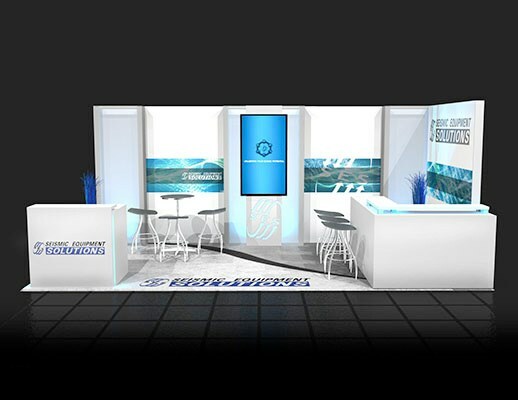 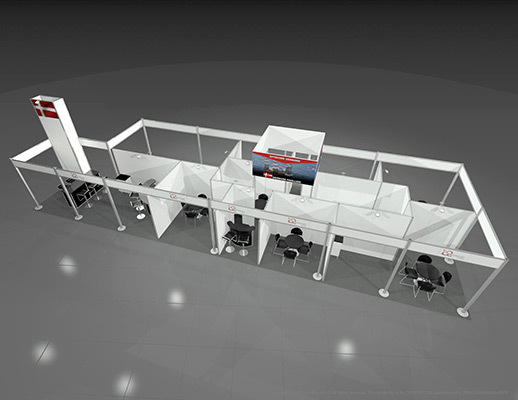 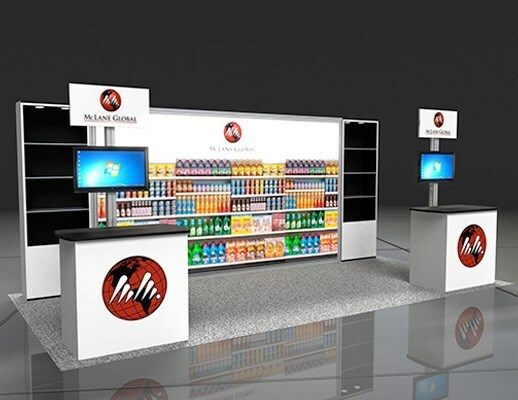 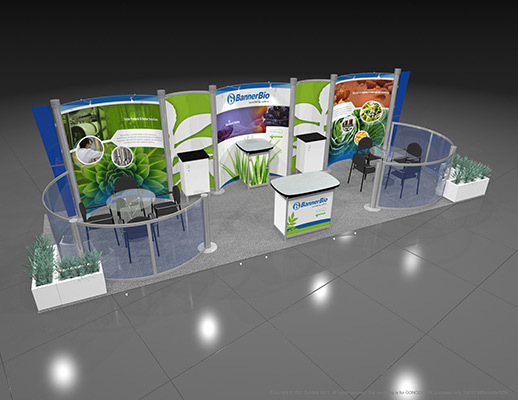 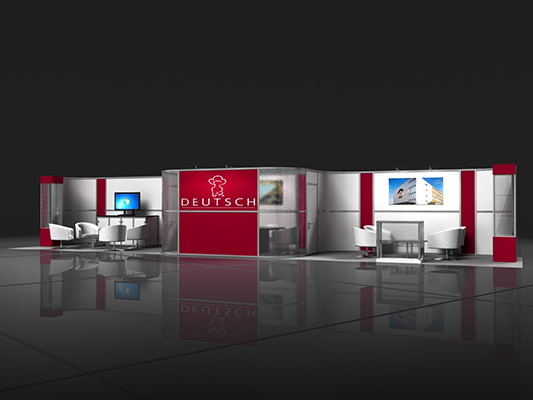 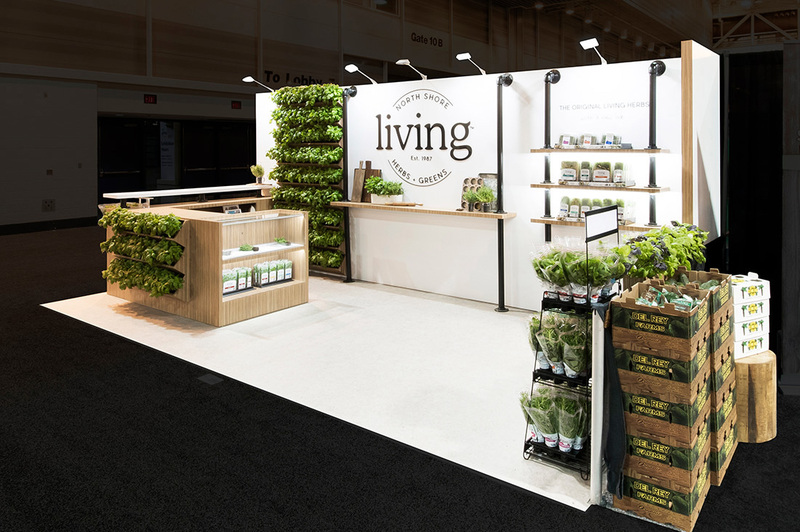 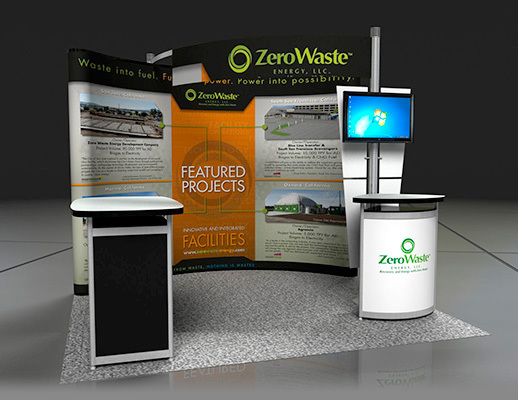 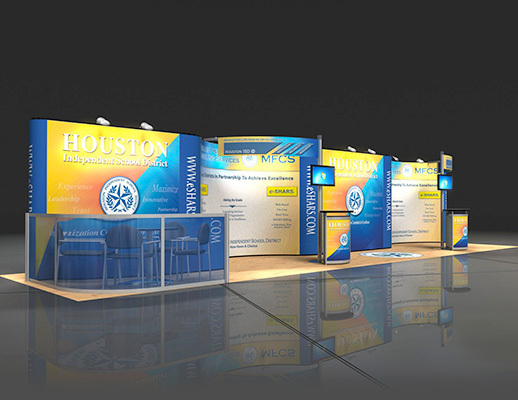 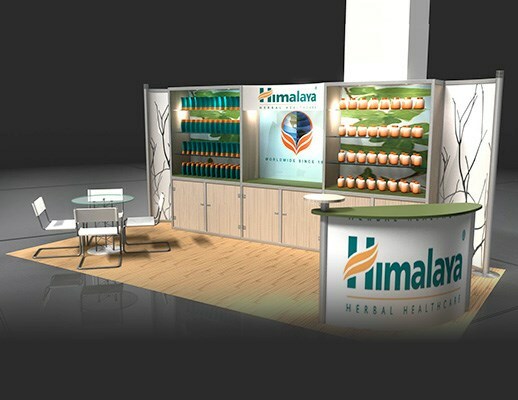 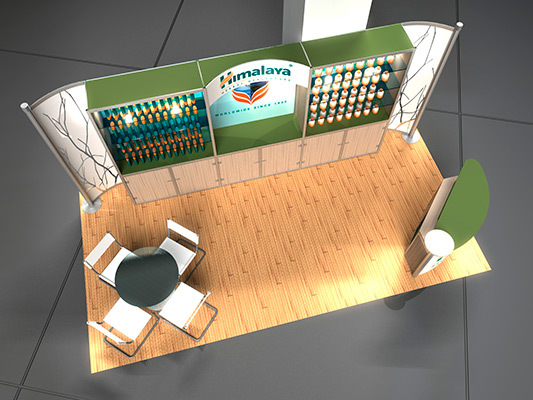 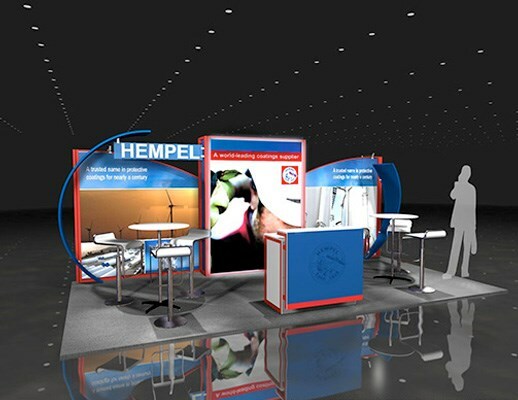 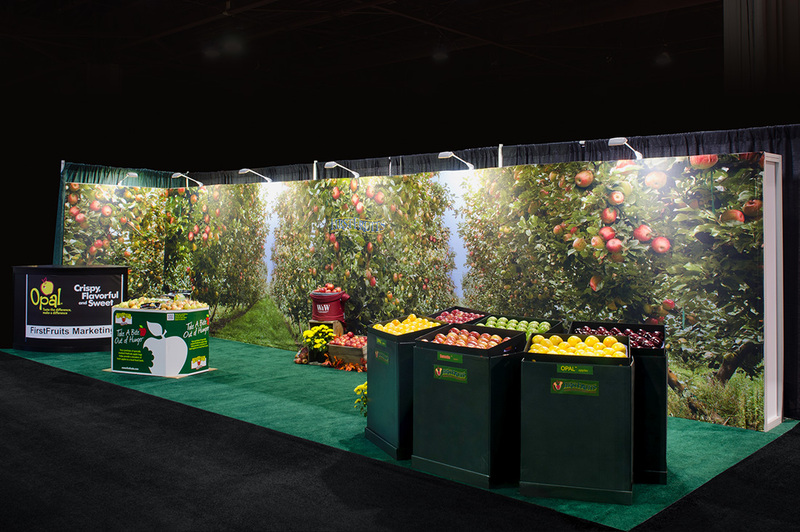 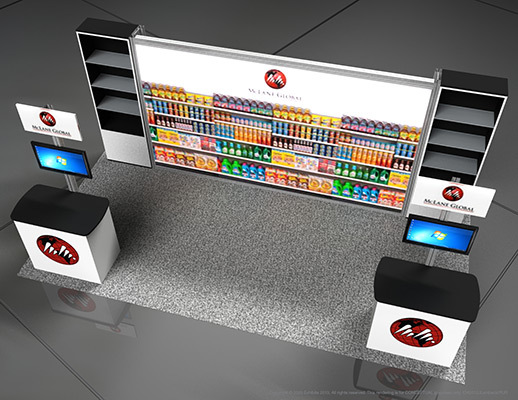 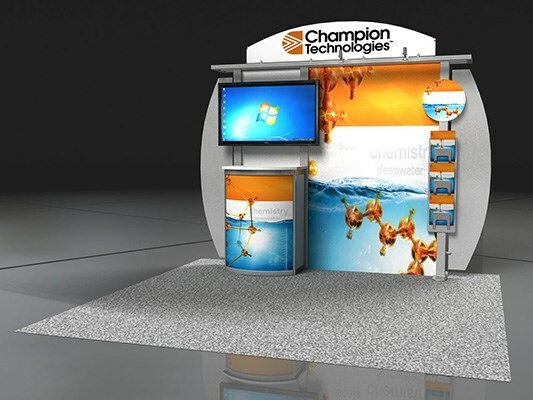 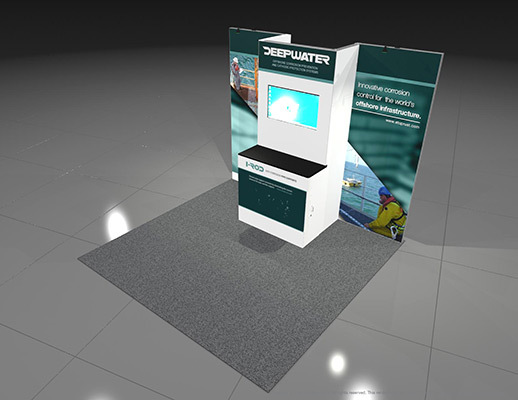 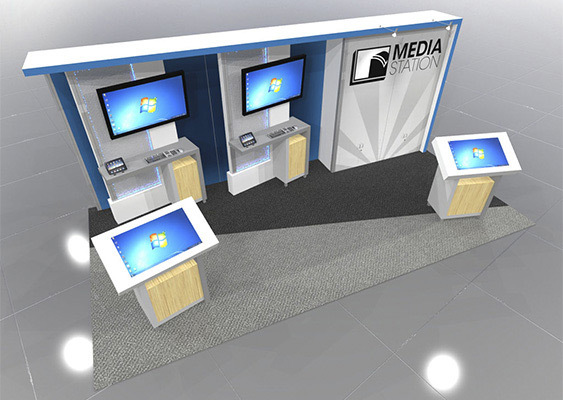 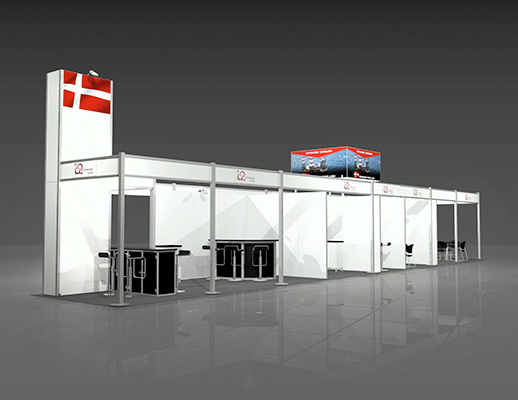 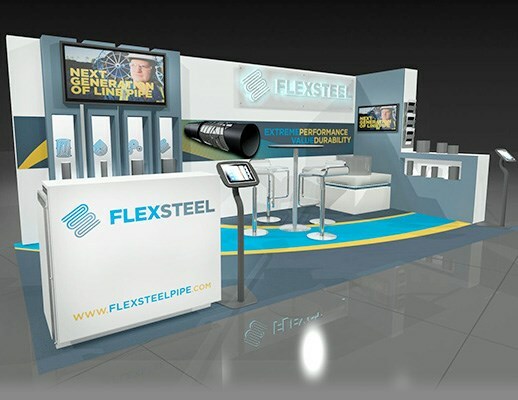 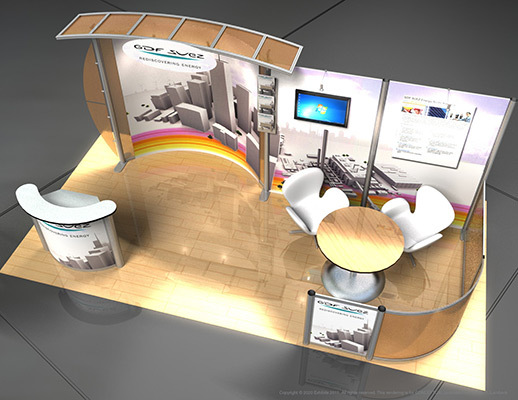 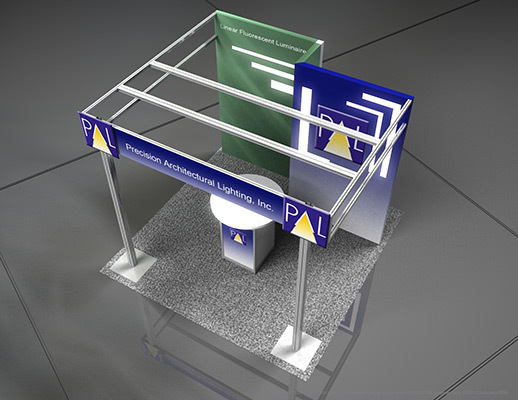 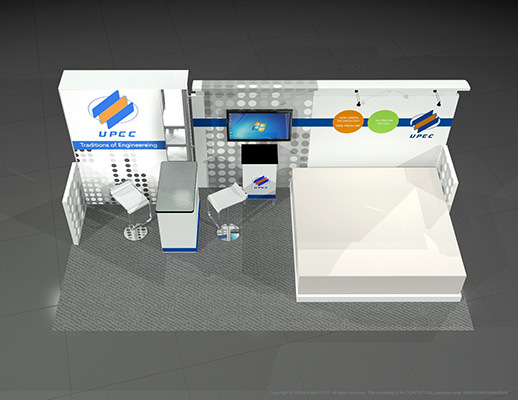 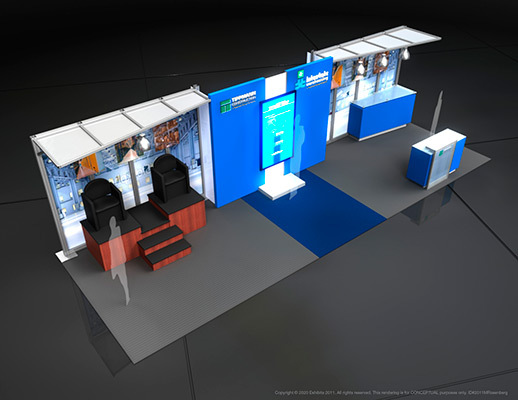 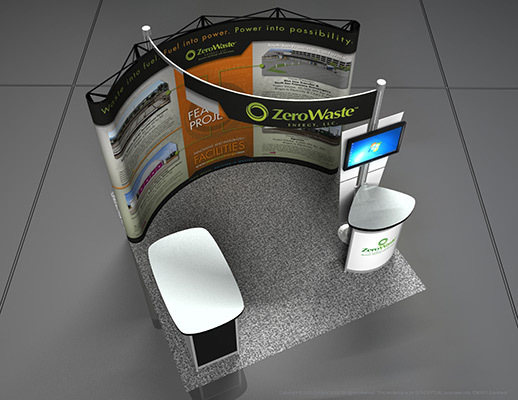 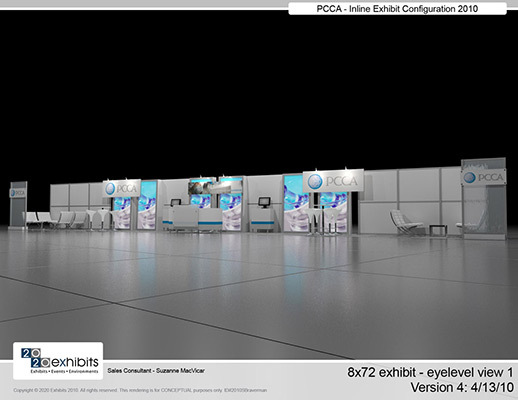 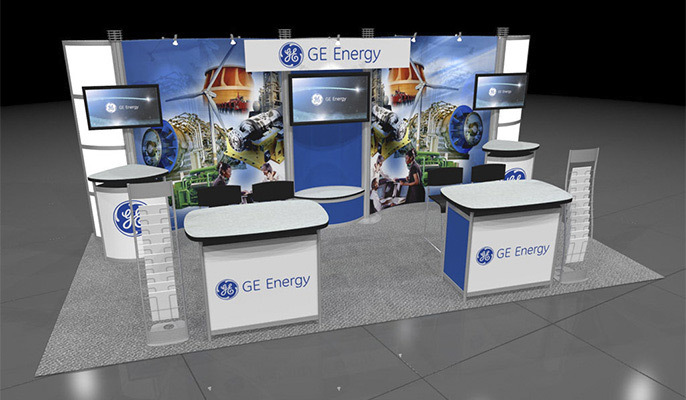 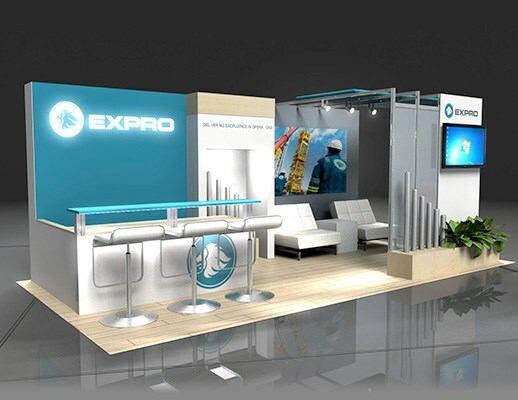 A simplistic booth in nature, with a purpose of presenting to an audience. 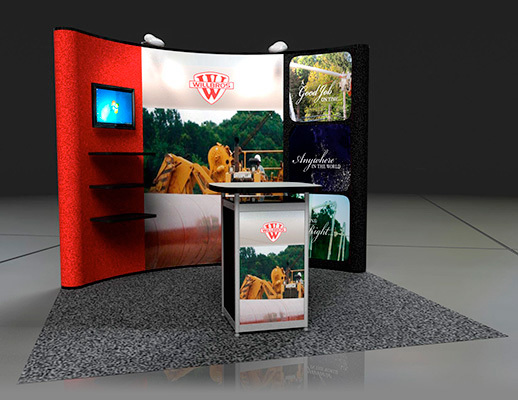 Mounted video monitors serve as visual aids and informative tools. 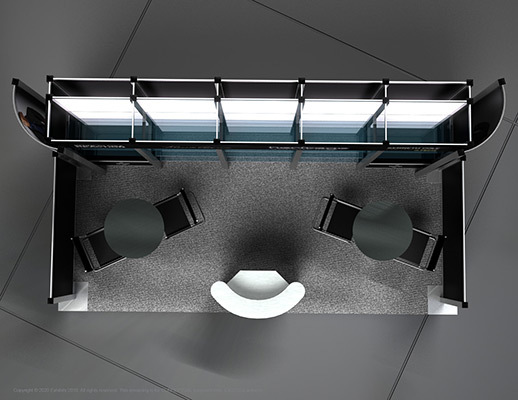 Complete with a private table to individualized meetings. 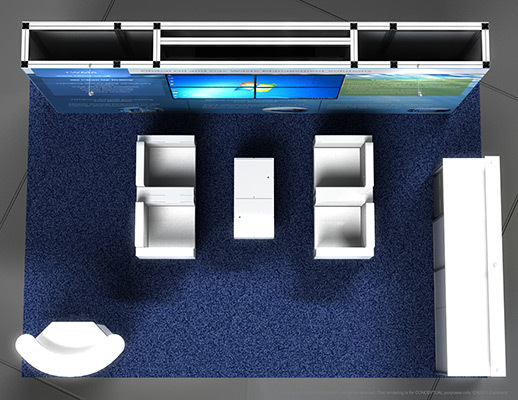 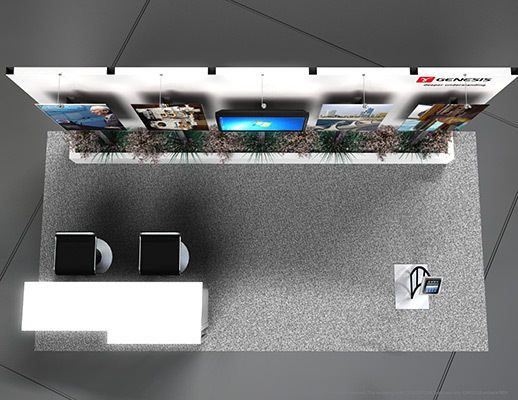 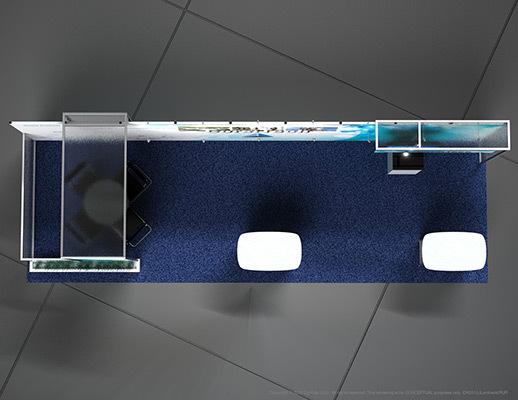 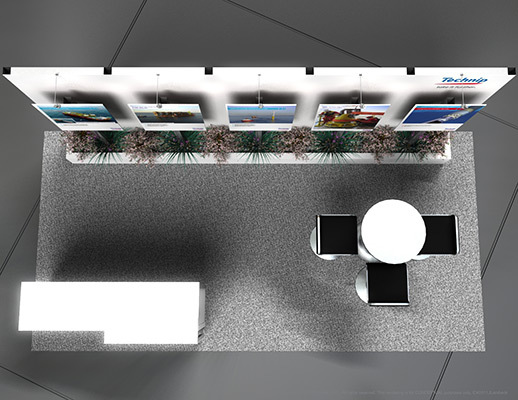 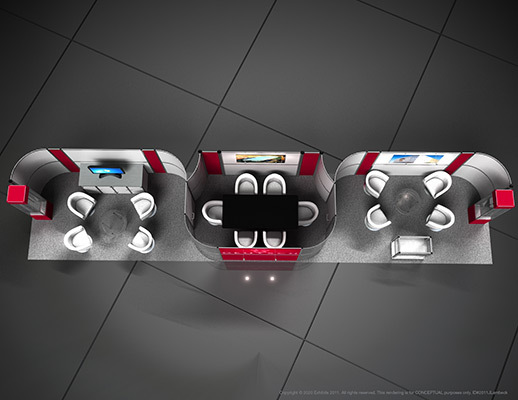 Features include: presentation kiosk, individual private meeting area, graphic backdrops, mounted video monitors, carpet inlay and reception desk.